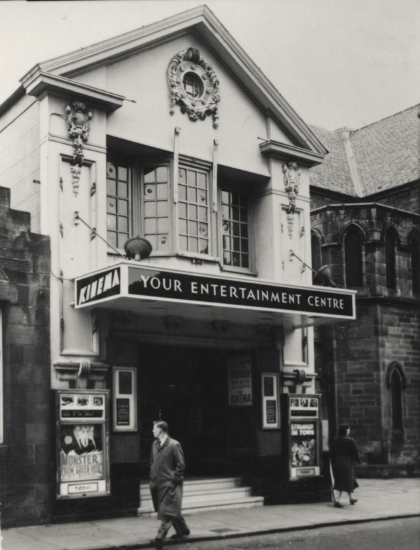 Having been the son of an enthusiastic and highly popular Cinema Manager and lived in the Dunfermline / Rosyth area for around 50 years, you'll perhaps understand where my interest in the cinemas and theatres of the area comes from. 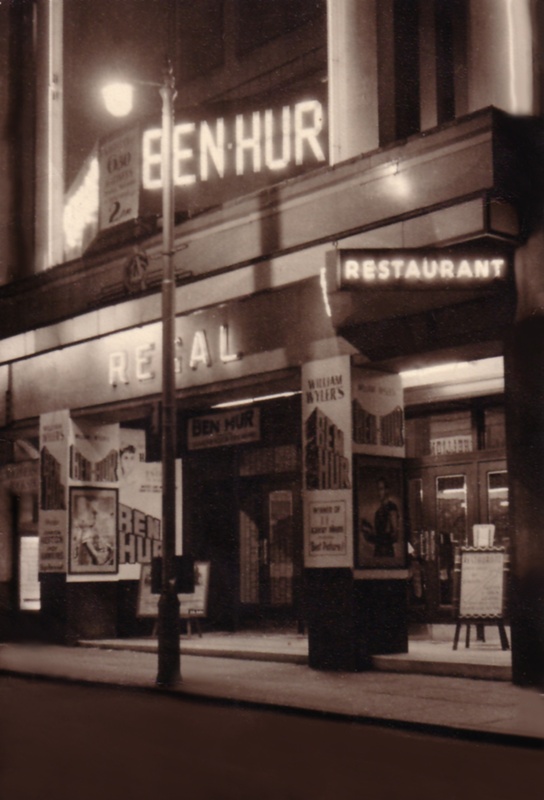 Most people I know have no idea of the rich Cinema & Theatre heritage we have in this area and so I thought you may like to share in my research, completed initially to satisfy my own curiosity. 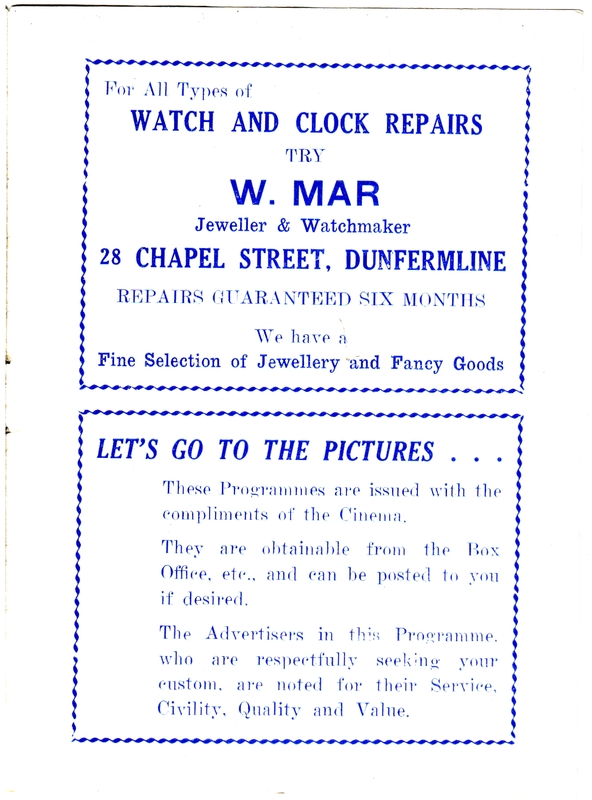 For instance did you know that around 1922 Dunfermline had five full-time cinemas and a couple of occasional ones too, plus a couple in Rosyth! 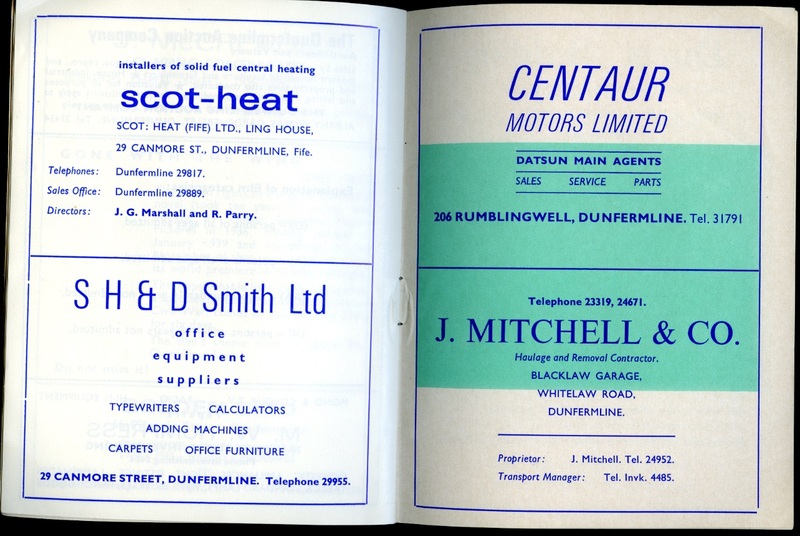 If you can enhance this page in any way, maybe by submitting further information, corrections, photographs or memories, I'd be delighted to publish them and credit you as my source of course. 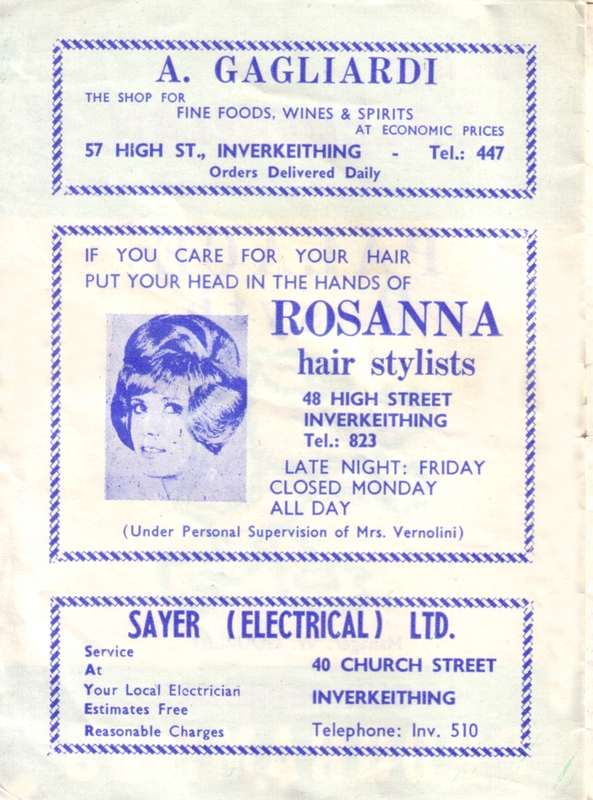 I'm indebted to Martin Rogers (local Rosyth historian) for some of the details here. 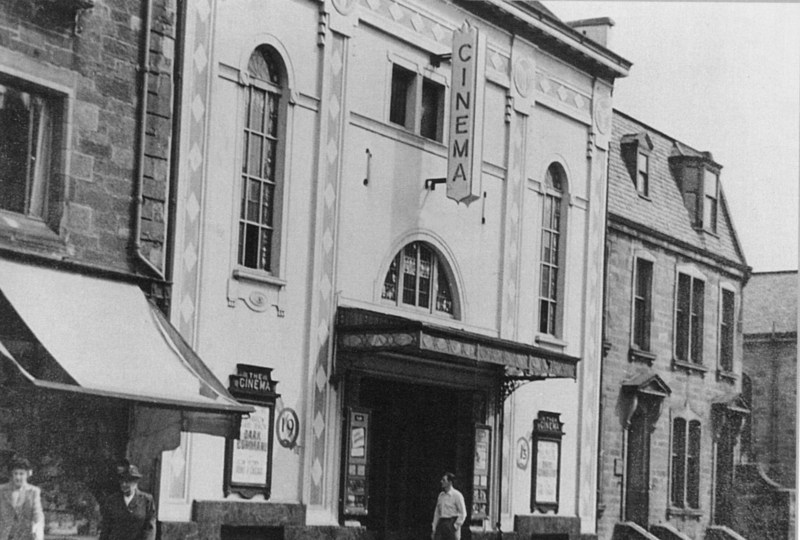 Cinema projection in this area began as early as 1901 when in October, Walker and Co's cinematograph visited Dunfermline for 3 Days. 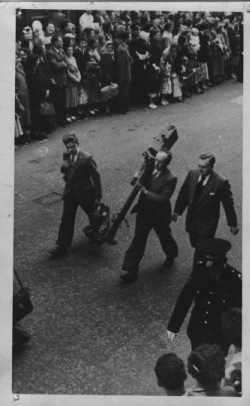 A number of local films were exhibited for the first time such as footage of the inspection of Fifeshire Volunteers at Ladybank, Pupils and teachers leaving Dunfermline High School and Queen Anne School, Workers of E Beveridge and Co leaving factory and Town Band excursion to Aberdeen. Click on any of the images below to see a larger size. 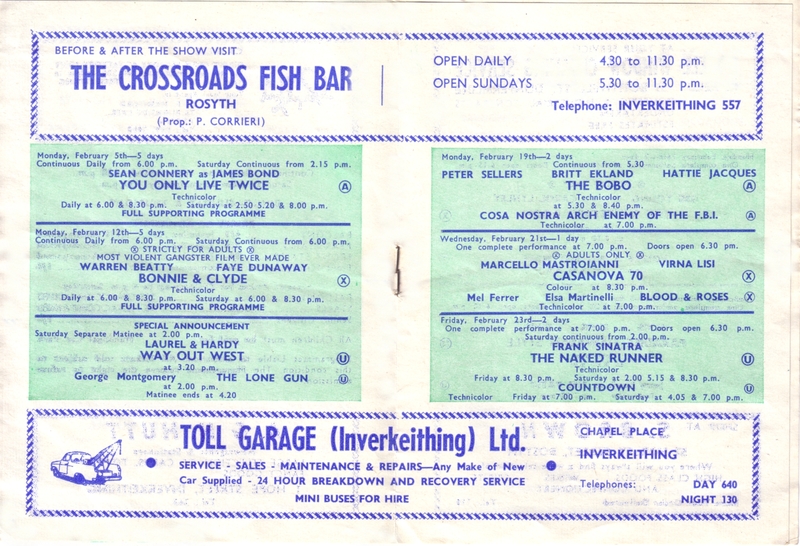 Location: Unclear, possibly in 'Tin Town' or 'Bungalow City' (as it was known) in the vicinity of Hilton Road in Rosyth? Architect: Not Yet Known, presumably the same contractors building the Dockyard ('Easton Gibb')? 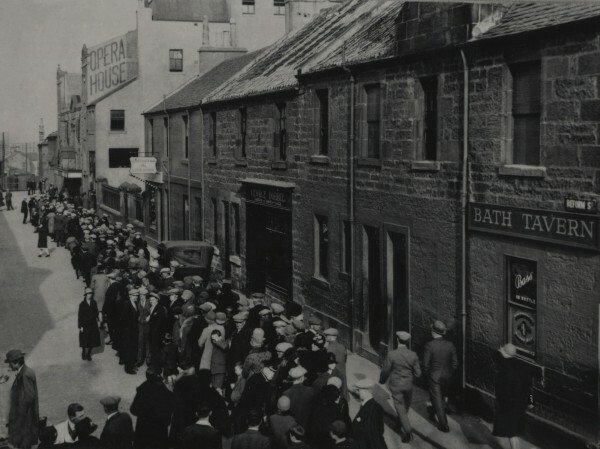 Work began to build Rosyth Royal Dockyard in 1909 (by 'Easton Gibb' contractors) and a cinema of sorts was built to entertain the construction workers living in the local temporary accommodation of corrugated iron huts known as 'Tin Town' or 'Bungalow City'. 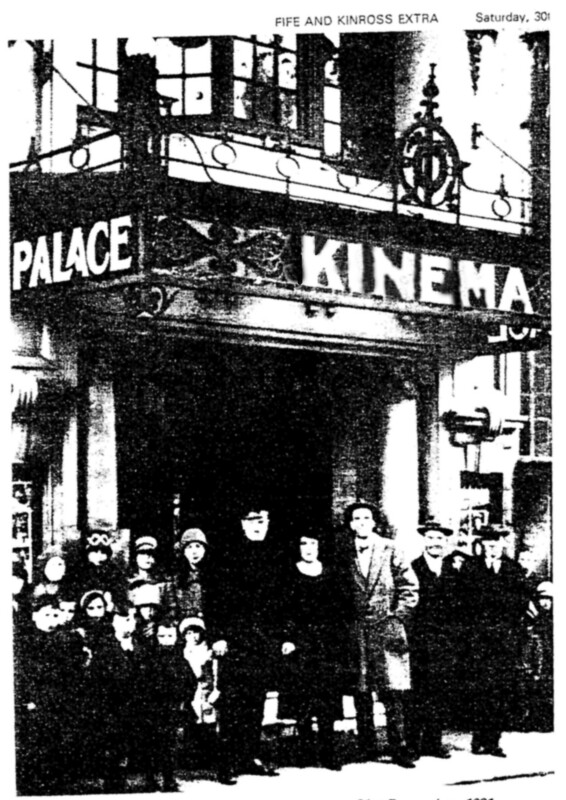 I would speculate however that this cinema structure may not have operated much earlier than 1913 when the first phase of the accommodation was completed and therefore furnished the local audiences. It was certainly in operation five nights a week by June 1914. It was damaged by fire early in January 1921. 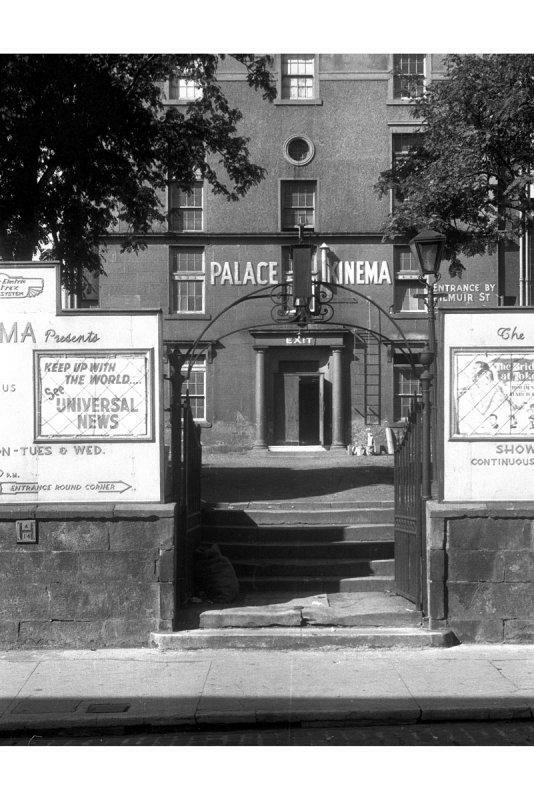 Mr. WE Potts' plans to open a cinema / variety theatre named 'The Pavilion' in the failing 'Dunfermline (roller) Skating Rink' at Upper Station Road (built in 1909, between James Street & the Upper Rail Station) were scuppered by fire on the 6th of June 1911. 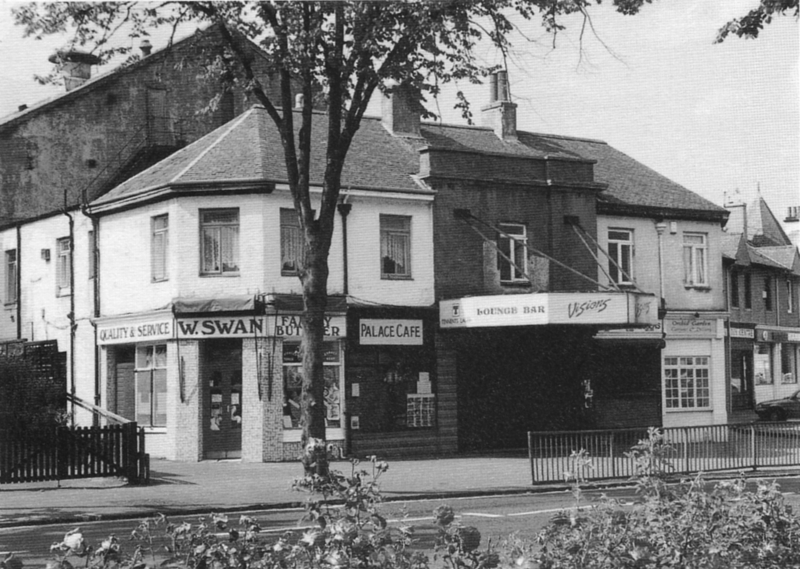 Location: Canmore Street with exits to the High Street and in the premises of the former 'Central Roller Skating Rink'. 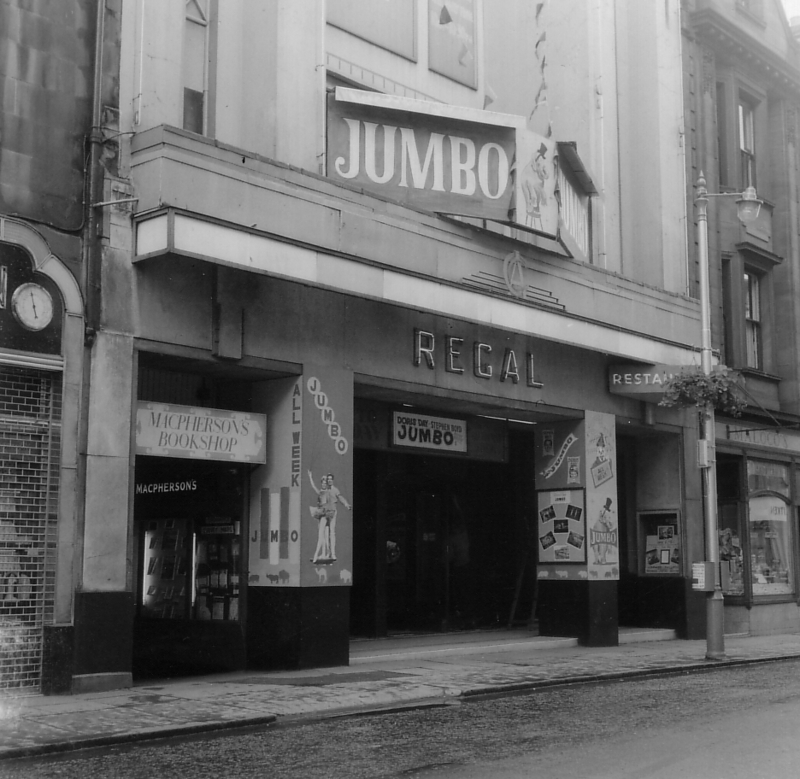 The location would later host The Regal then Littlewoods and currently Primark. 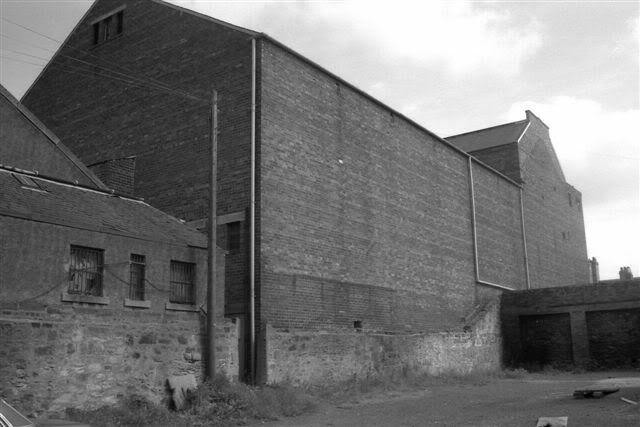 (The 'Central Roller Skating Rink', opened in December 1909 by Henry Hare, was on the site of the old malt barns). 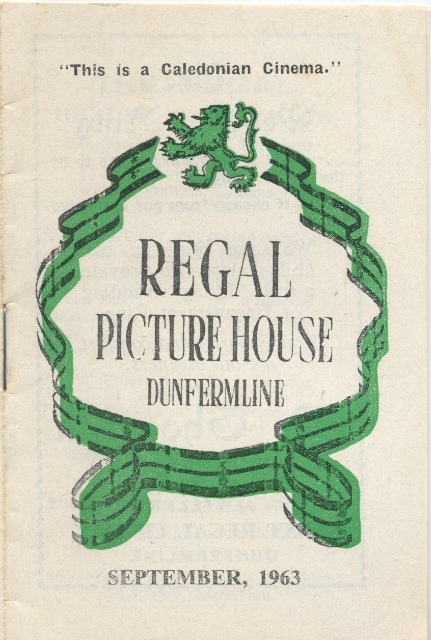 Opened: Thursday 17th August 1911 ('Animated Pictures interspersed with smart variety artistes', with two shows nightly at 7 & 9pm). 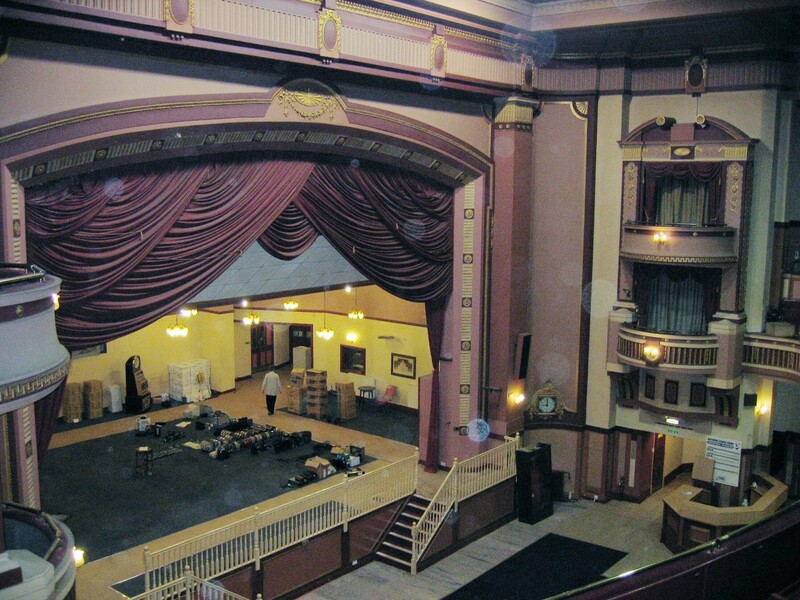 A journalist described the hall as "one of the prettiest & most compact theatres". 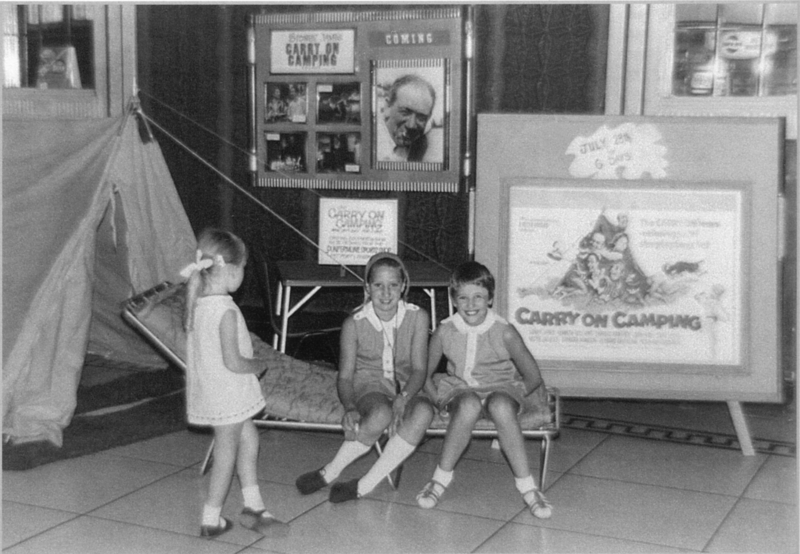 It was equipped with plush, tip-up seats and the 'cine' box was a separate entity located behind the screen equipped with 'The Pathe Lamp' described as 'Flicker Free'. 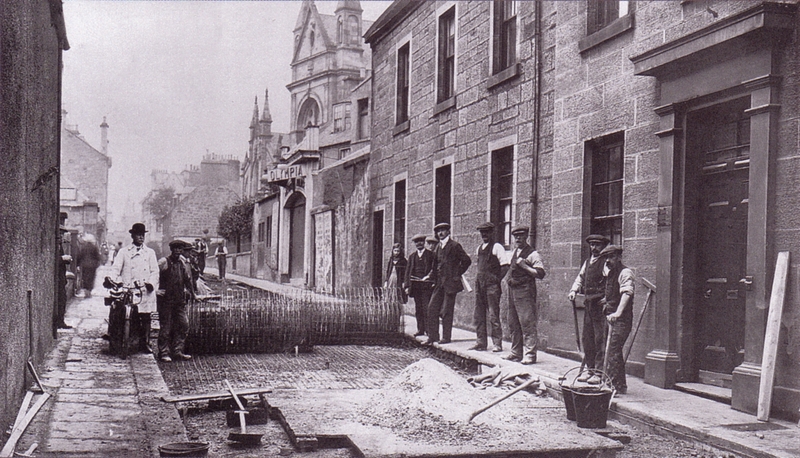 Messers Potter & Co of Glasgow fitted the electric lighting system but with gas as a stand-by, while Messers John Baxter & Sons also of Glasgow were responsible for the conversion works. 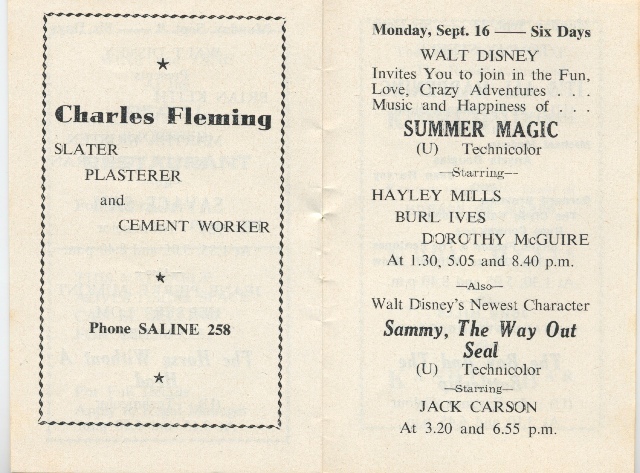 The opening night included performances by 'Ella Duncanson' - (Illustrated Songstress) and 'Harmon' - (Musical Entertainer & Dancer), though the opening night's film(s) are not recorded. 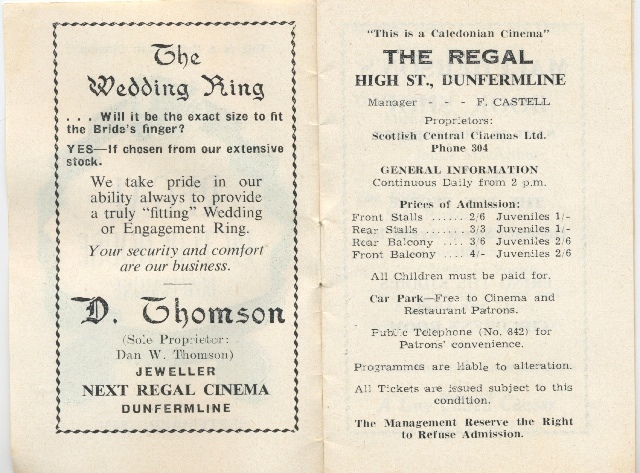 Whole site purchased by Mr. Peter Crerar of Crieff and the building demolished and site cleared: 1929/30 for construction of Regal Cinema. 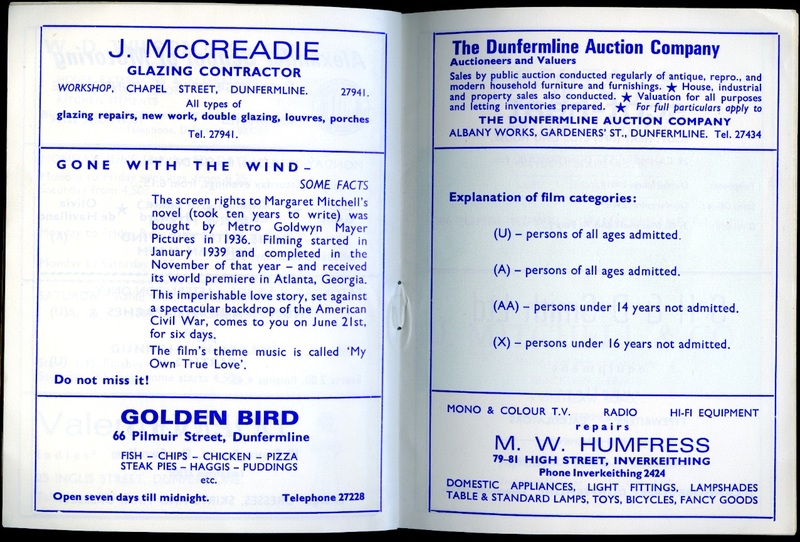 (www.scottishcinemas.org) page XIII Nov 22nd 1992 When? 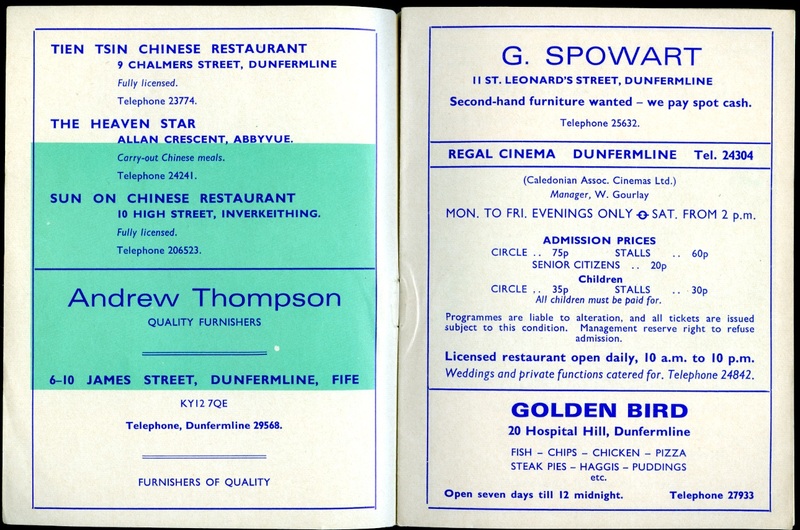 Opened: Friday 19th September 1913 (Manager: Mr. David Longmuir) Prices 3d, 6d & 9d. 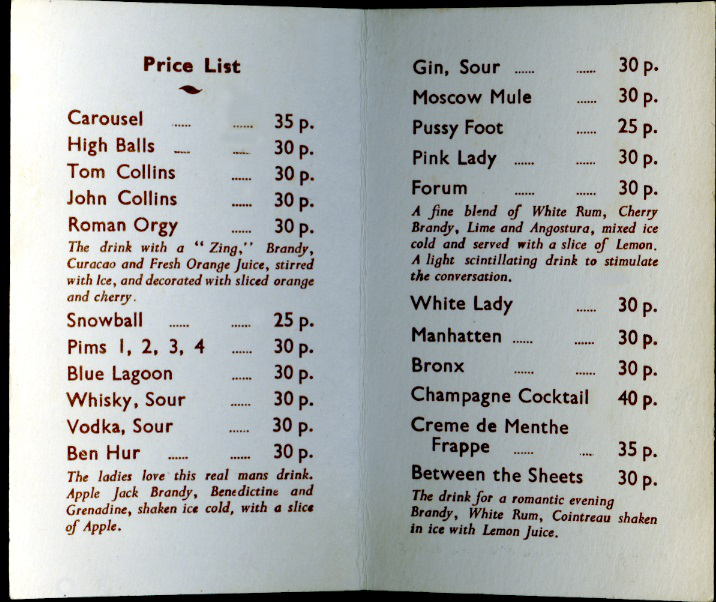 Prices: by 1922 were 9d & 1/3d and by 1946 were 1/- to 1/9d! 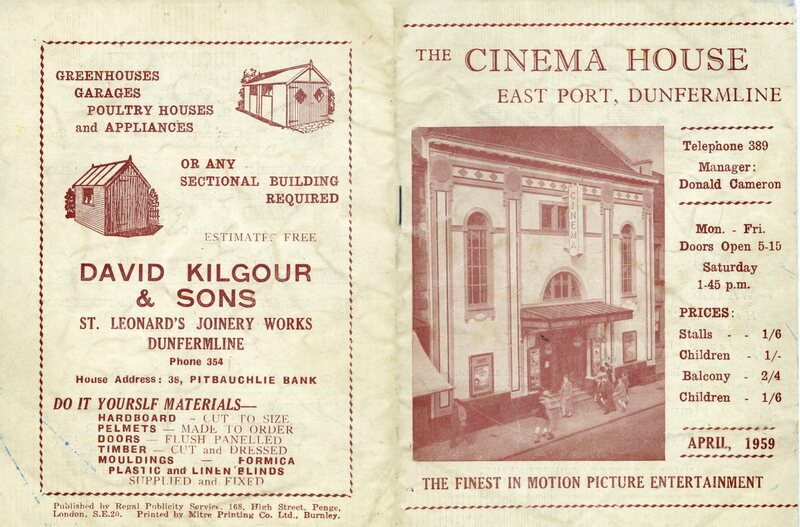 The Cinema pioneered experimental three-dimensional films as early as 1925 though it was the last cinema in Dunfermline to show talkies! 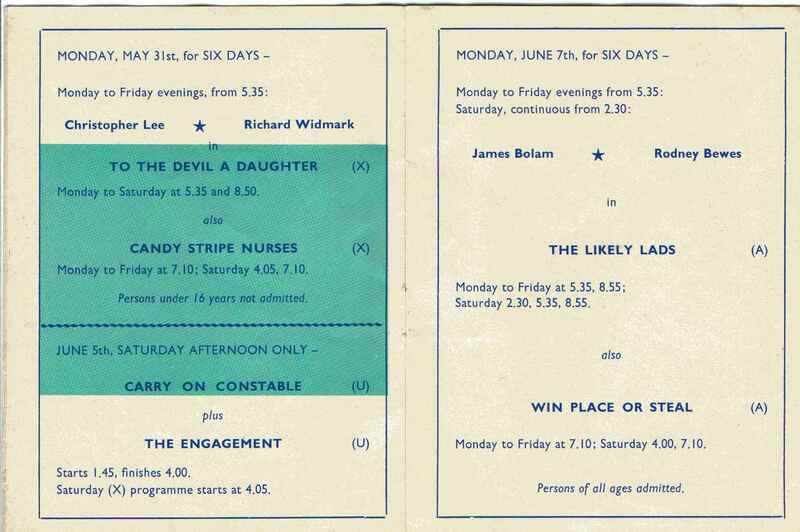 Prices 1951: Stalls 1s 6d, Balcony 2s 1d. 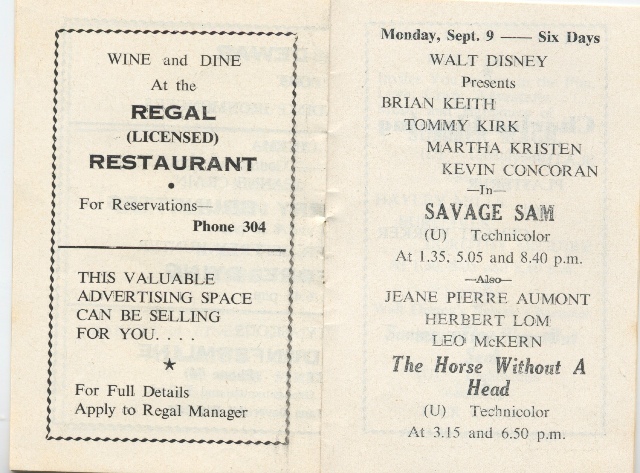 Sold to CAC: 1959 and leased to Homely Bingo Social Club October 1962. 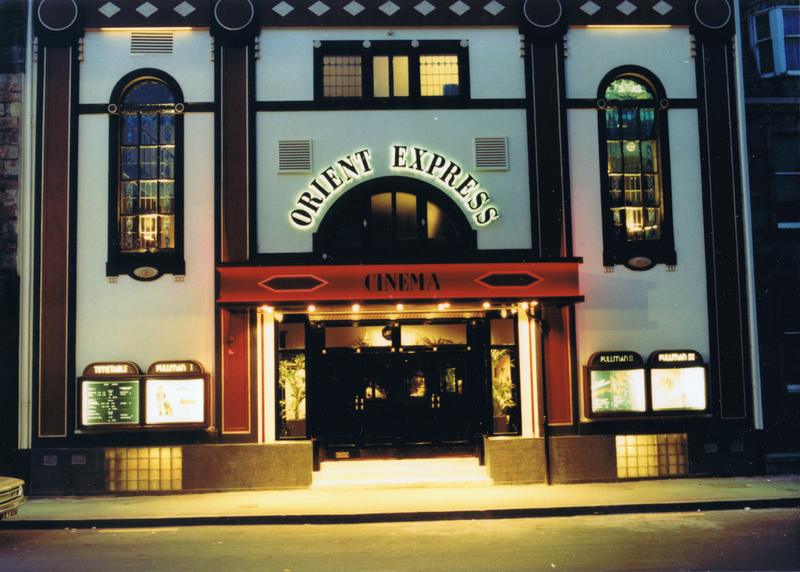 The upper premises was occupied by 'Private Eyes' and operated as a 'Gentlemen's Club' with lap & exotic dancers before being refurbished and operated presently by Martin Robb as 'Club Tropicana', an 80's music themed nightclub. The lower floor with the original entrance on East Port remains vacant (2013). 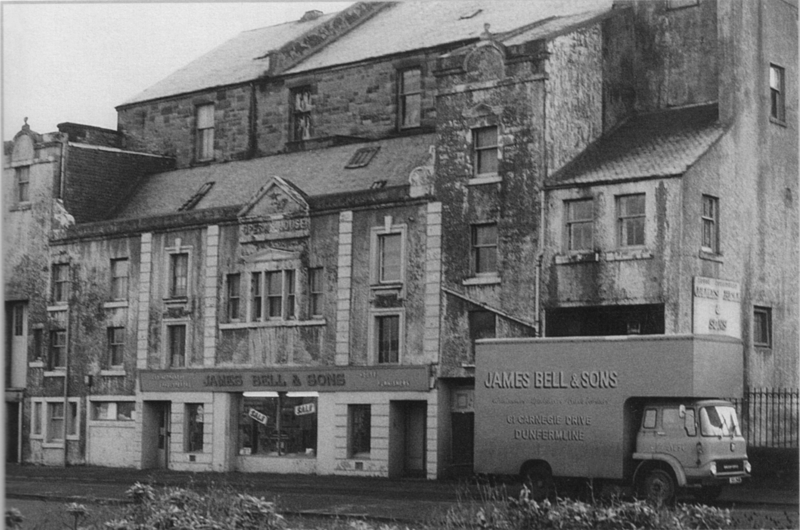 Location: In the premises of the old (Clark’s) Music Hall (see below) between Guildhall Street and Music Hall Lane. The location was later occupied by the Department of Health & Social Security building. 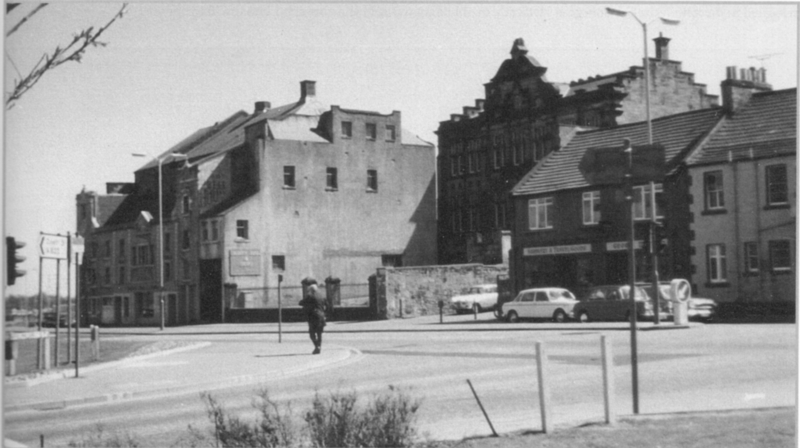 Location: Entrance on Pilmuir Street Dunfermline, south of and adjacent to the North Congregational Church (both now demolished initially in favour of a car park and now at the time of writing, a new bus station). Exit south on to Queen Anne Street. The whole of the proceeds at the opening performance were donated to the local Red Cross and Combatants’ Aid Fund. It was said that, "No expense has been spared to ensure the comfort of patrons". 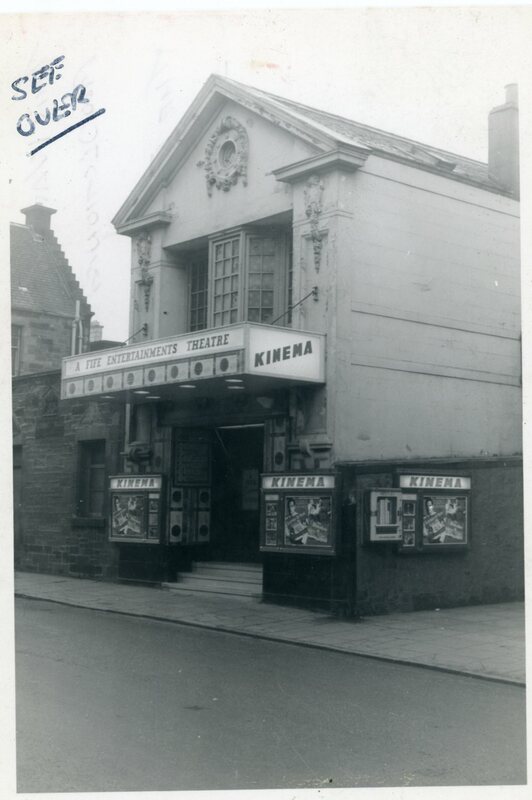 Owners: Originally 'The Palace Kinema (Dunfermline) Ltd' then changed to 'Fife Entertainments Ltd' in 1947. 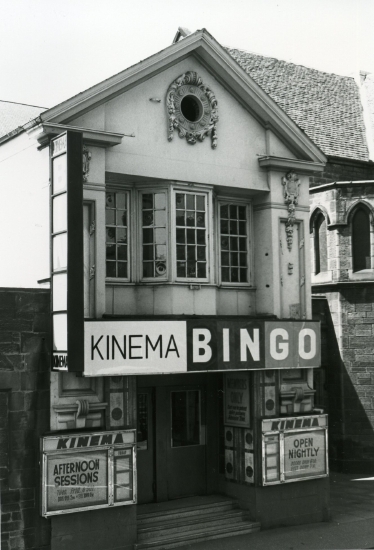 Last Film: ‘The Devil-Ship Pirates’ (1964) Starring Christopher Lee screened on 29th September 1967 after which the new owners used the building exclusively for bingo. 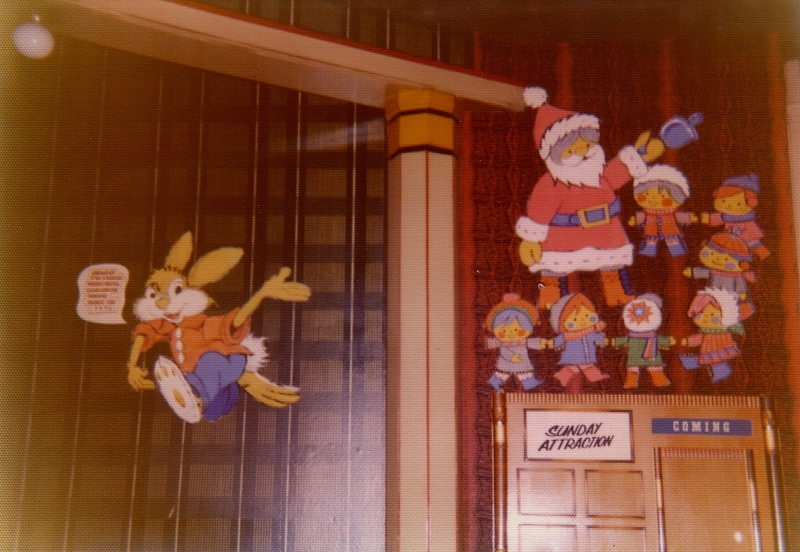 (Mr. George Gilchrist was the manager). 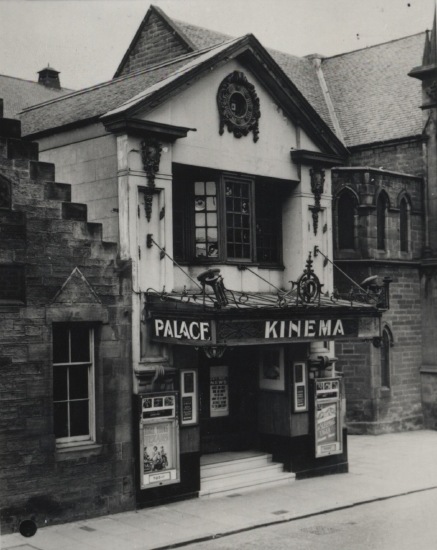 The Palace Kinema (Dunfermline) Ltd also built the original Kinema Ballroom adjacent, which opened on 23rd December 1938 exactly 23 years to the day since the Palace Kinema was opened! 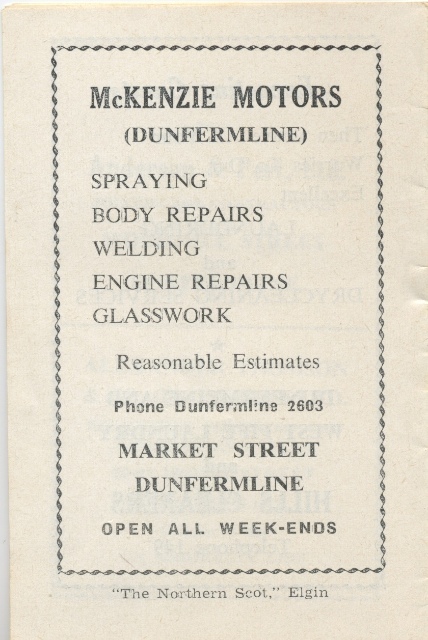 Location: Above the retail premises of the Dunfermline Co-operative building in Admiralty Road. 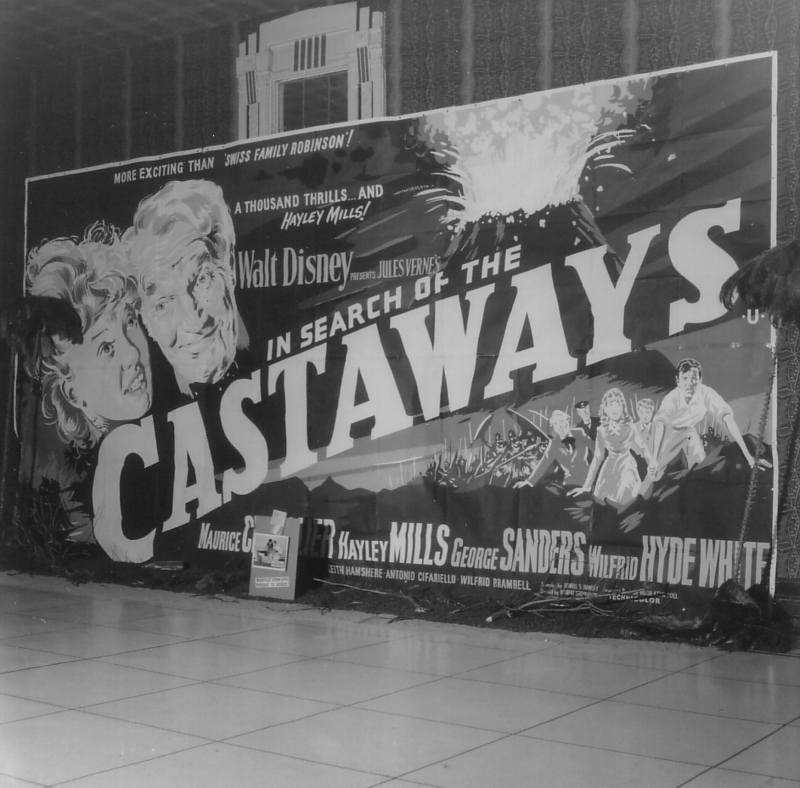 Opened: February 1921 and was operating six nights a week, certainly initially. Reused: Let for dances, concerts and public meetings from September 1922. "The 'Snakepit' was the nickname for the Co-operative Dancing during the war. Sailors form all over the World went, Russians, Norwegians, Americans, anyone who's ship was in the Dockyard. 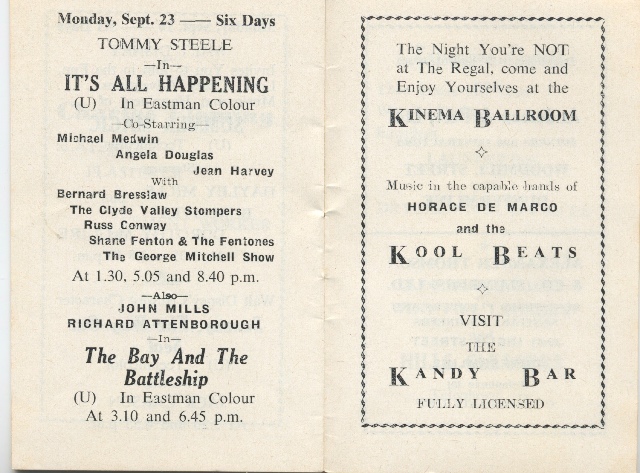 On a Sunday night they had the Garrison Theatre in the same hall and acts from all over Scotland came to entertain the troops. 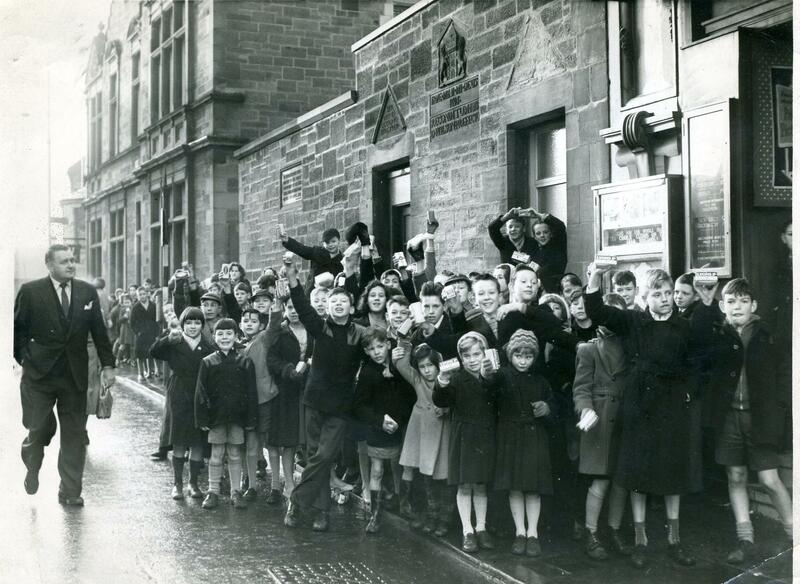 After the war, the Snakepit closed, the hall was called the Co-operative hall." 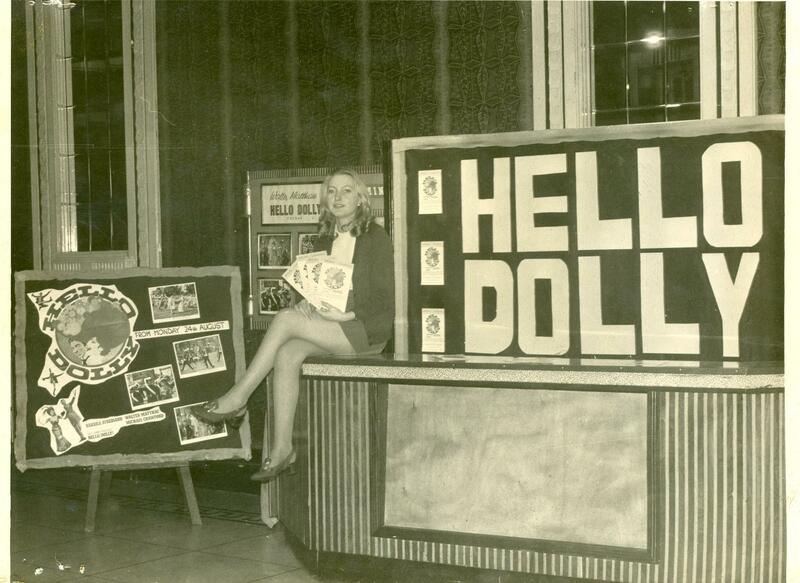 Famously Lulu & The Luvvers played here, probably in 1964. 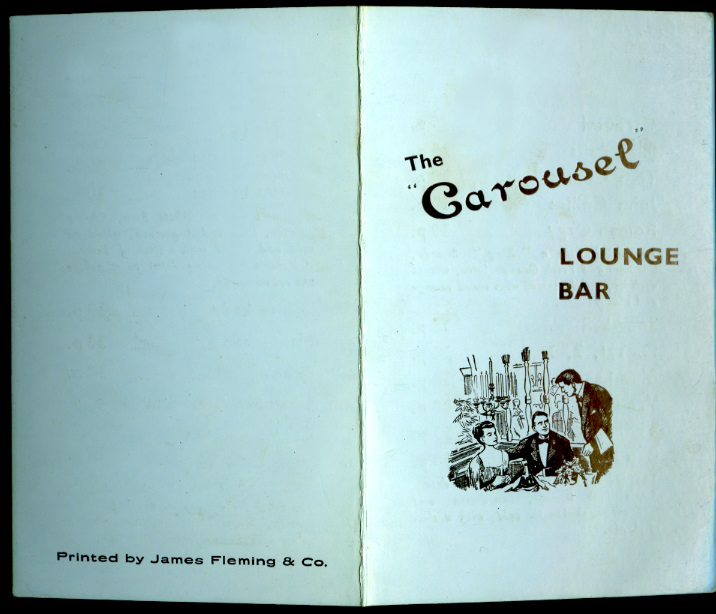 It later became known as 'The Stardust Club'. Local entertainment historian Brian Noble explores the remains of 'The Stardust Club' just prior to its conversion to flats. 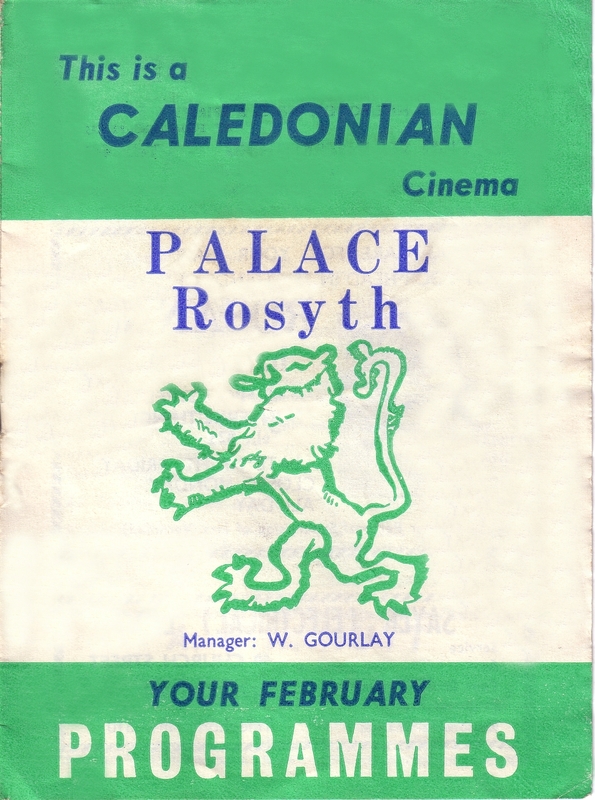 “Talkies” were introduced to Rosyth in August 1929 at the Palace with the screening of 'Weary River', a few weeks before Dunfermline at the Palace Kinema on 16th September 1929. Permanent installation was completed on November. 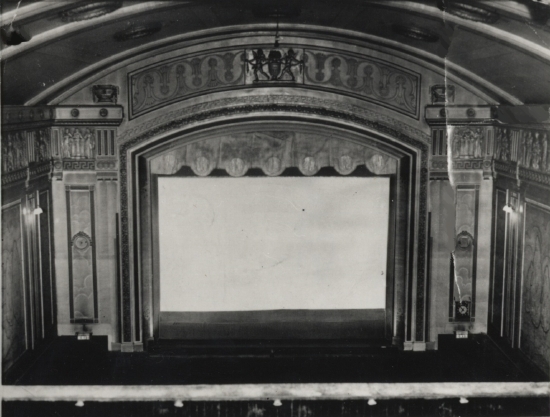 Damaged by fire: November 1929 - The whole Proscenium was destroyed. Reopened January 1939 with 'The Singing Fool'. My thanks to Paul Gudgin for these images of the interior above (2007). 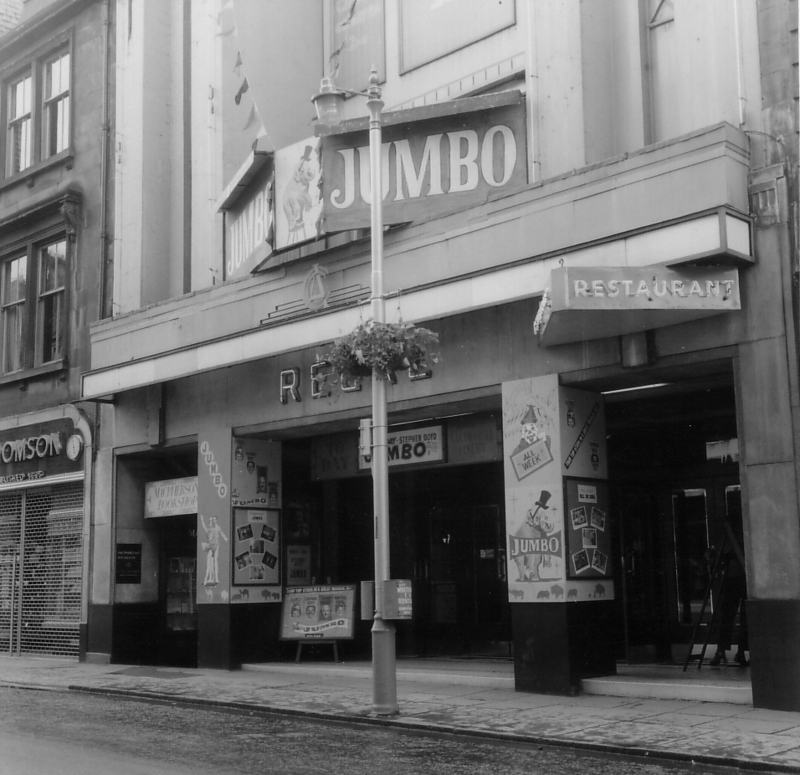 The 7th of June 2008 saw the re-launch of The Alhambra (at 33 Canmore Street in the City of Dunfermline) as a Theatre & Live Music Venue after many years in the wilderness of bingo-land but just as with so many other cinemas & theatres across the country, bingo saved the day! 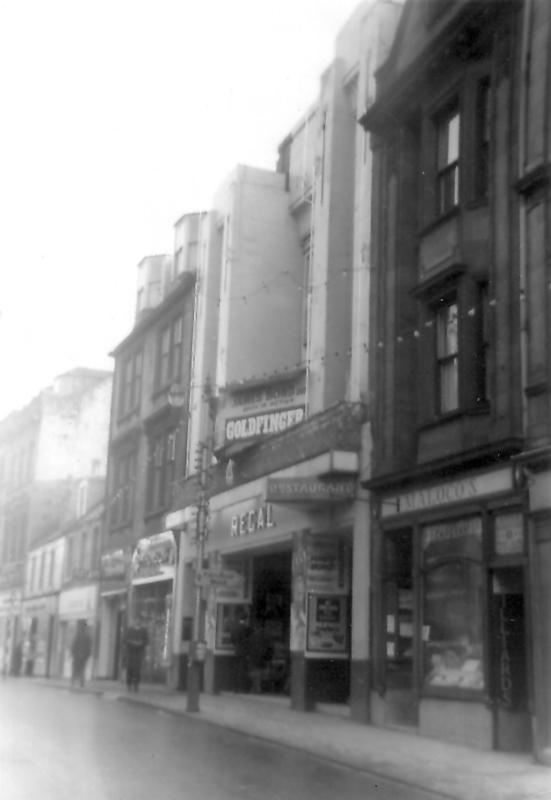 The Alhambra was built by G. Stewart of Blantyre as a dual-purpose entertainment venue for theatrical performance & cinema, for the original owners, Scottish Provincial Theatres Ltd. After a difficult build period of two years, during which time it was sold to ‘Alhambra (Dunfermline) Ltd’, it eventually commenced its illustrious life when its doors were first opened to cinema patrons on 22nd August 1922 with a screening of a black & white silent film called ‘Over the Hill’ (1917) starring Gladys Hulette. 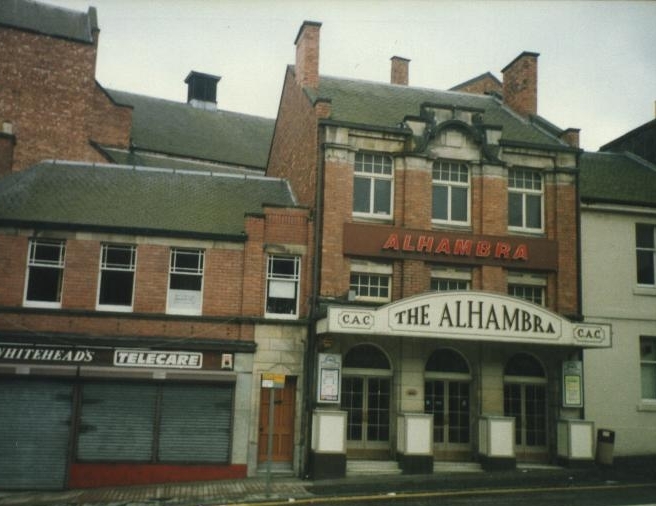 Local architect John Fraser (who was also associated with the design of Dunfermline’s Masonic Hall, the Cinema Picture House & Glen Pavilion amongst others) designed The Alhambra which turned out to be the largest brick building in Dunfermline. 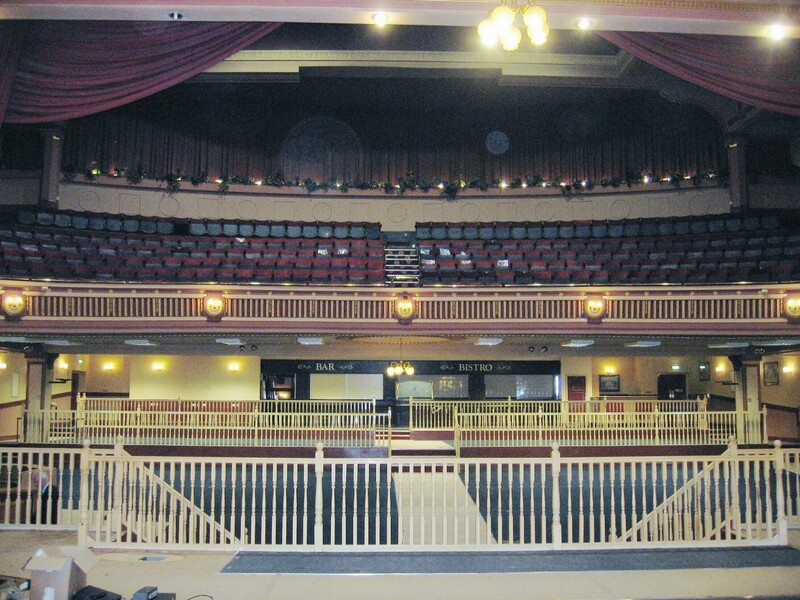 The maximum all-seated capacity was originally fixed at around 1700 but now a variety of flexible configurations of standing & seating can be offered to patrons who can marvel at the variety of entertainment on offer on the fourth largest stage in Scotland which at one time was home to two ‘Steinway’ grand pianos! 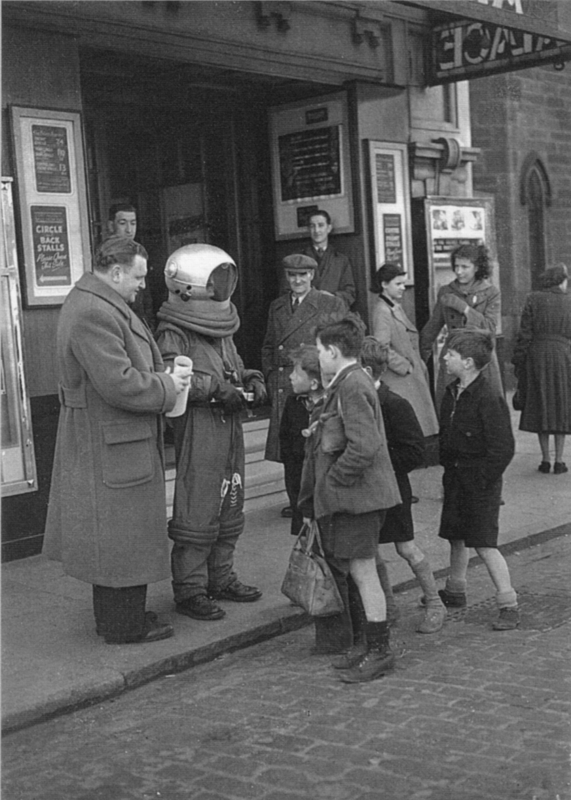 The hall’s early years though were not without teething problems. 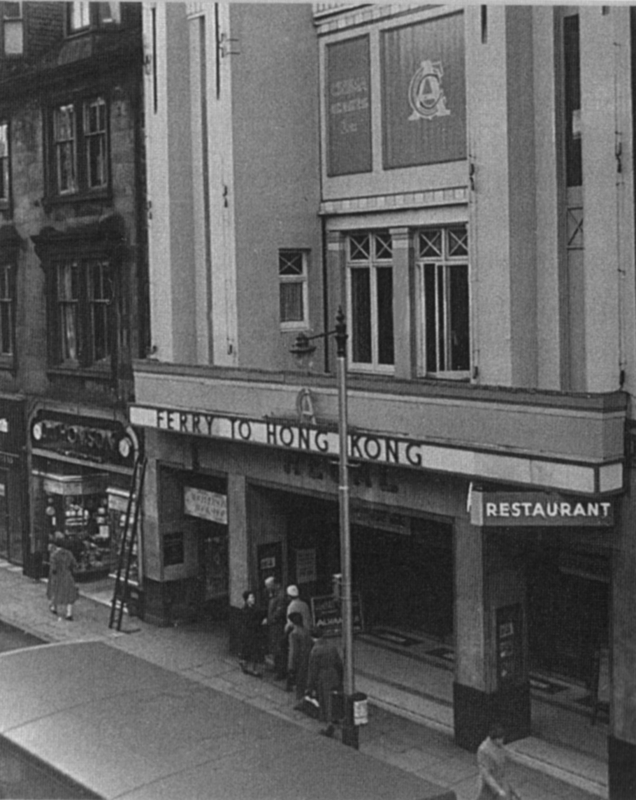 John Henry Hare (best known for his long association with the local Opera House) took over as Managing Director in 1923 and curiously the building closed for 'refurbishment' between March 1923 & August 1924 and was operated largely as a cinema from then until January 1965 when the popularity of bingo began to sweep the land! 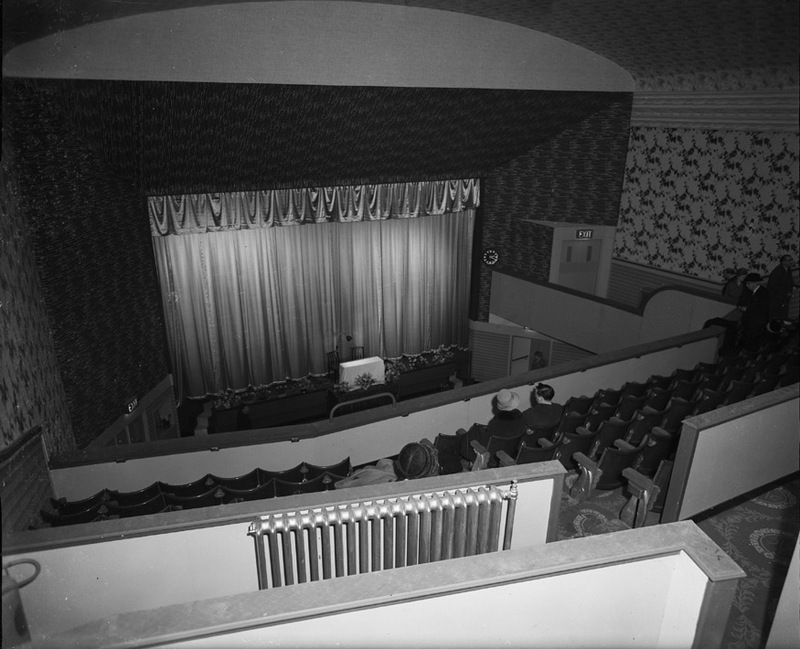 The introduction of bingo has saved many a theatre & cinema building from the wrecker’s ball and the fact that the conversion to bingo need not necessarily require major alteration to the interior fabric and features happily means that The Alhambra’s Category B Listed Egyptian, Classical & Art Deco detailed interior survives largely intact and unaltered from its glory days. 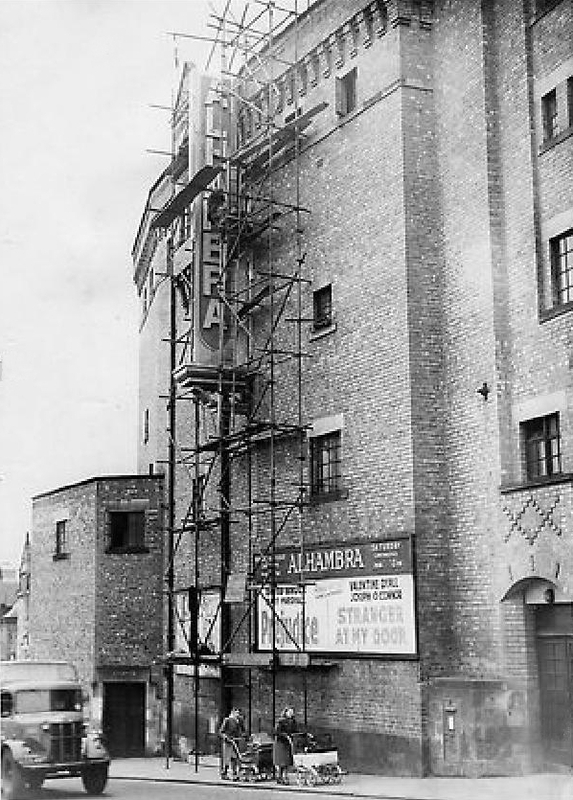 Over its illustrious history the Alhambra has hosted live performances by artistes as diverse as Harry Gordon, Marty Wilde, Jimmy Logan, Jimmy Shand, Andy Stewart, The Alexander Brothers, The White Heather Club, The One O'clock Gang, Anita Harris, Emile Ford, The Bachelors, Bert Weedon, Ricky Valence (who in 1960 was the first Welshman to have a #1 hit, with ‘Tell Laura I Love Her’) and most recently Nazareth, The Enemy, The Charlatans & Biffy Clyro together with contemporary comedians such as Jimmy Carr & Roy ‘Chubby’ Brown. 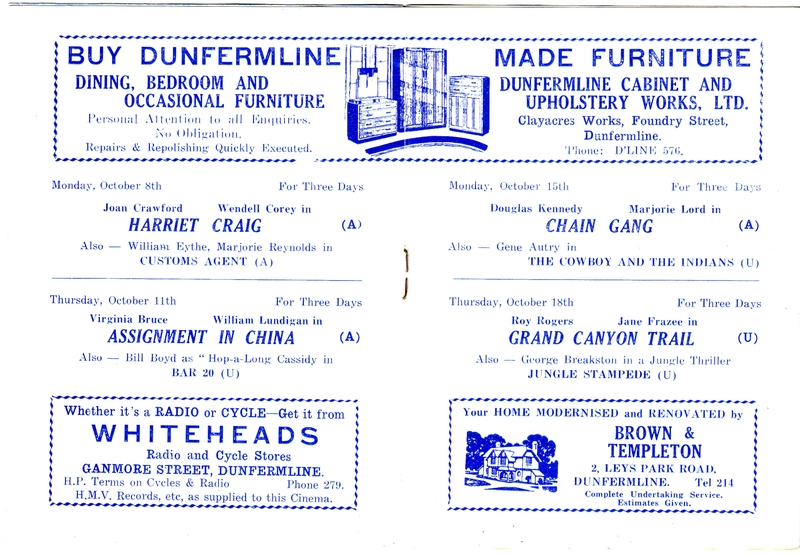 One of the most noted dates in the history of the theatre is 11th August 1928 The then Duke & Duchess of York, later King George VI, and Queen Elizabeth (the Queen Mother) were given The Freedom Of Dunfermline on that huge stage. Some major upgrades took place in the early thirties with the installation of British Thomson-Houston sound reproduction equipment in 1930 and the addition of a new crush-hall to serve the separate entrance to the pit and stalls in the following year. 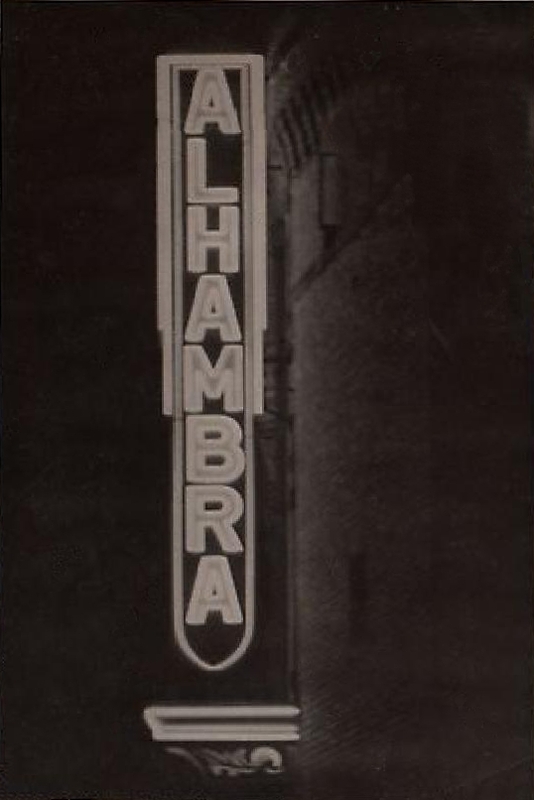 The largest neon sign in Fife was erected on the Alhambra’s New Row aspect in November 1950. It was green, orange & cerise in colour and its 30" high vertical 'ALHAMBRA' lettering resulted in a sign of approximately 20 feet in height. The sign was recreated in June 2011. 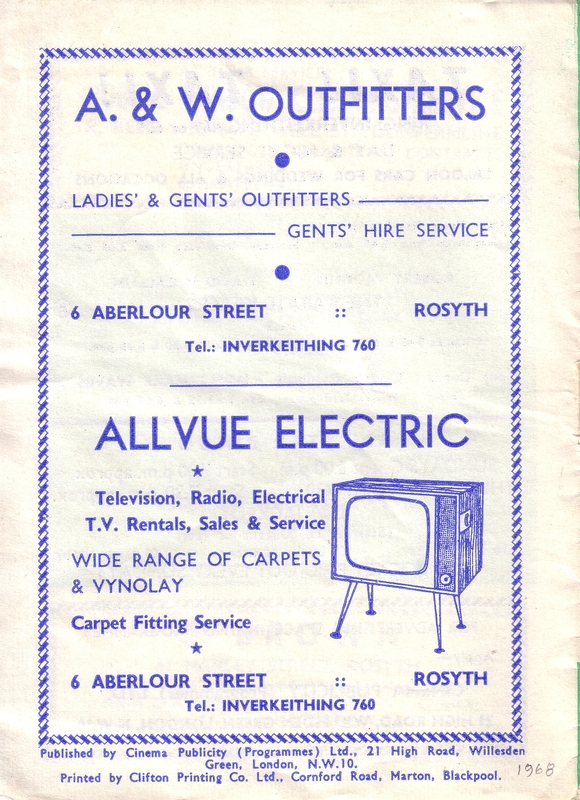 Over the years many managers have come & gone including the author’s late father, Mr William WM Gourlay (who was Assistant Manager from December 1955–1964 & Manager 1977–1985) and a number of different operating companies have made The Alhambra their home including original owners ‘Alhambra (Dunfermline) Ltd’, ‘AB King’ in the mid 30s, ‘JB Milne’ in the mid 40s, ‘Caledonian Associated Cinemas’ in the 50s to the 80s, ‘Carlton Bingo’ in the 90s until Thursday 9th February 2006 (when they opened new purpose-built bingo premises in Dulloch Park). 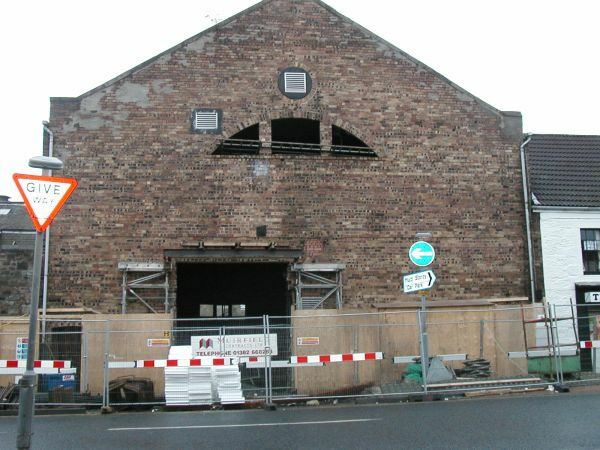 Despite a brave campaign by local entertainment historian Brian Nobile, most then thought that the end of the line had finally come for the building, until the opportunity came to the notice of Paul Gudgin (Director of the Edinburgh Festival Fringe, the world’s largest arts festival, from 1999 to 2007) and his associate Bill Fletcher of property developers ‘Linklever Ltd’. 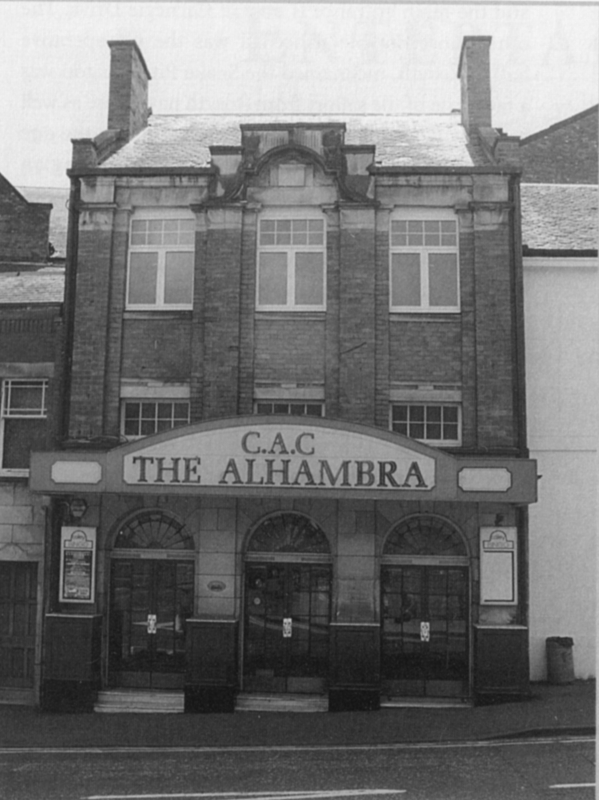 A public awareness/support & fundraising campaign called ‘Alhambra in the Raw’ along with some very hard work by many dedicated individuals has now paid off, resulting in a vibrant, exciting entertainment space. Tailoring the shape of the interior to requirements by using curtains & dimmers allows the balcony to be reduced by half or partitioned off altogether and to allow the stalls to be seated or standing, thus creating main auditorium capacities of between 600 all-seated or more than 2000 seated & standing. 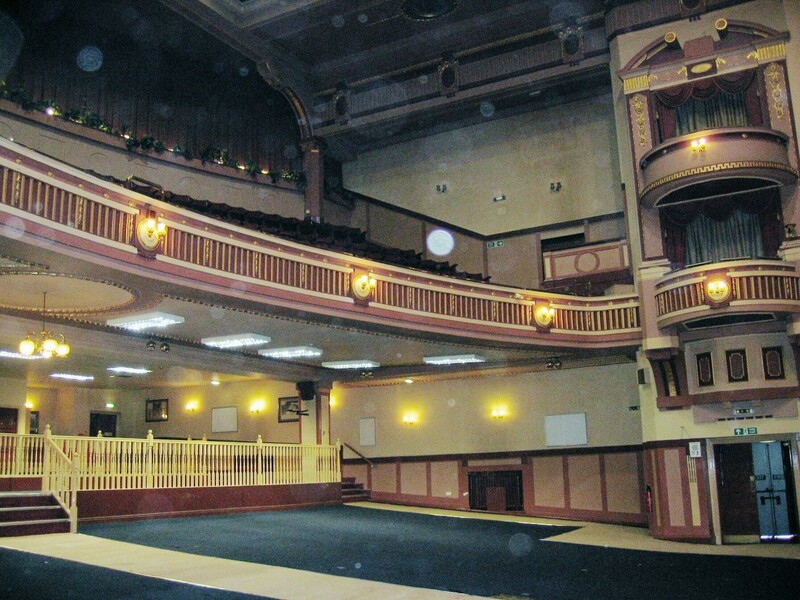 Additionally the Alhambra 2 ‘venue within a venue’ can accommodate as few as 140 seated or 300 standing. The transformation is as astonishing as it is pleasing to all who visit for a performance whether it be for live music, theatre, dance or comedy in a top class theatre for Dunfermline, Fife and indeed all of Scotland to be proud of and this is just the start! John Fraser, 1920-22. 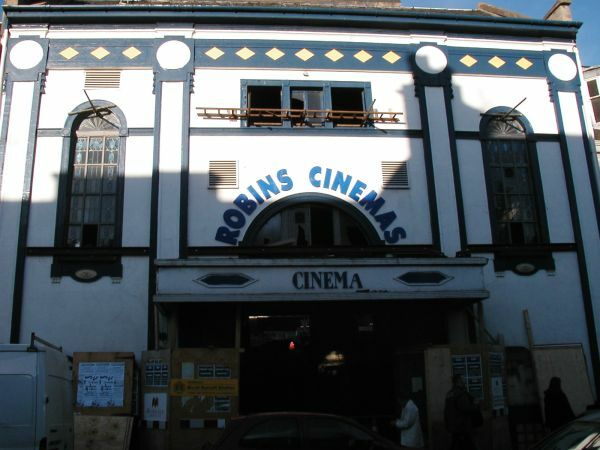 Large former theatre and cinema comprising main block containing auditorium orientated E/W and 3-storey 3-bay entrance block attached at right angles to N. Romanesque detailing, including bracketed parapet, to E (New Row) elevation of otherwise fairly plain main block. Classical N (Canmore Street) elevation with pilastered bays and curved broken-bed pediment to entrance block. Classical interior incorporating Egyptian and Art Deco details. Red brick with sandstone ashlar dressings. Sandstone ashlar base course to New Row; sandstone ashlar ground floor and eaves cornice to Canmore Street. Coped parapet with band course of bricks on end to New Row. Sandstone cills (and mostly sandstone lintels) to main block. Sandstone cills and lintels to entrance block. Coped gables. North (Canmore Street) Elevation: triple round-arched entranceway with flat timber canopy extends across projecting 3-bay entrance block; 2-leaf glazed timber door with leaded fanlight to each opening. Bays/openings divided by giant 3-storey pilasters. Window to each bay to upper 2 floors. Corniced ashlar capitals to pilasters; entablature above forms 2nd floor lintels. Curved broken-bed Baroque pediment over capitals to central bay; raised panel at centre; stepped parapet above. Adjoins separate 2-storey buildings to either side. Main block set back. East (New Row) Elevation: 5-storey end wall of main block; slightly canted to right of centre. 7 slightly projecting bays with bracketed parapet; gabled jettied double-height bay to top floor; window to top floor to each of 3 flanking bays; all linked by cill band; lower floors more sparsely fenestrated. Narrow blank bays with lower-height parapet set back to either side. 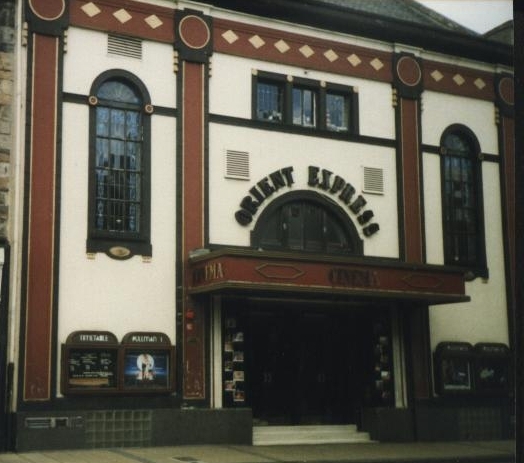 2-storey canted projecting 3-bay section to outer left; entrances to left of centre and (inscribed 'PIT EXIT') to outer right. Gabled bay set back to outer right; upper 3 floors set back within flanking strip pilasters; slightly projecting segmental-headed entrance with replacement timber door at ground floor; brick lattice patterning above; Edward VII postbox to left. West Elevation: blank end wall to main block; lean-to at ground level. Cented wall to left return. Side wall of entrance block set back to left. South Elevation: side wall of main block. Slightly taller gable-ended sections to either side. Sparsely fenestrated; row of 3 windows to 3rd floor of left gable-ended section; opening at gable. 2-light mullion windows elsewhere. Rubble walls of earlier structure project at ground/1st floor level to left section. Mostly multi-pane casements and fixed frame windows to main block; diamond-pane leaded casements to mullioned windows to S; PVCU replacement windows to upper floor of N elevation of entrance block. Grey slate roofs. Flanking coped mid-pitch wallhead stacks to either side (E and W) of entrance block; one (later) set back to main block. Square-plan louvered ventilation tower to central ridge of main block. Interior: decorative internal scheme and layout largely intact, including decorative plasterwork incorporating Egyptian, classical and Art Deco motifs. Entrance vestibule with flanking ticket-offices contained within quadrant angles; windows with lugged pilastered architraves. Recessed entranceway into foyer beneath arch with flanking Egyptian columns. Identical arch and columns in foyer. Flanking staircases to upper foyer. 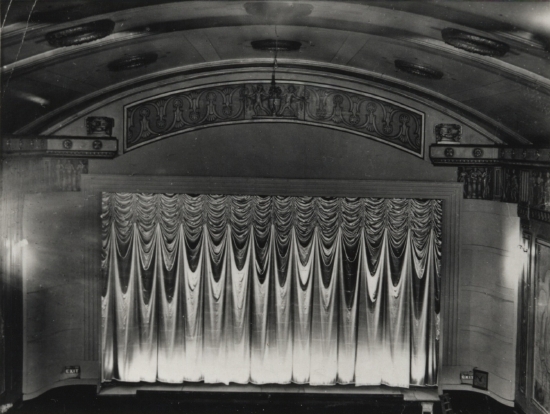 Segmental-headed proscenium arch to auditorium with decorative plaster surround and flanking columns; clock in circular festooned surround to either side. Seating removed from ground floor but intact to deep curved gallery with circular light fittings along parapet. Gallery adjoins 2-tier semicircular boxes with flanking pilasters and open-topped semicircular pediments at either end. Decorative frieze and recessed ceiling to auditorium. Panelled plaster dados and panelled timber doors throughout. Panelling to stairs/upper foyer grained to imitate timber; original balustrade and fixed ashtrays. Stage area retains some original stage machinery. 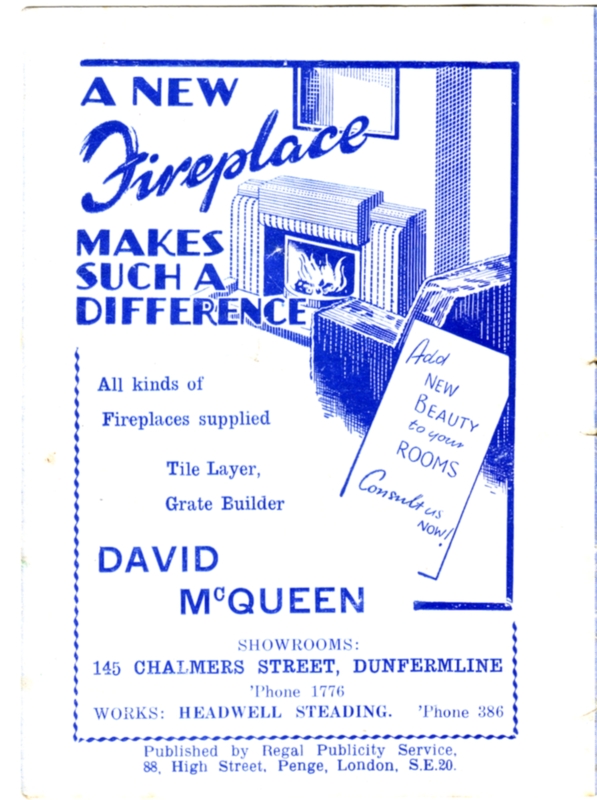 Dunfermline Press, 22 July 1922; Dean of Guild Records (minor alterations 1949 and 1950), Dunfermline Council; John Gifford, FIFE, in the 'Buildings of Scotland' series (1988) p195; Bert McEwan, DUNFERMLINE - OUR HERITAGE (1998) p20. Of significance primarily on account of surviving internal decoration. 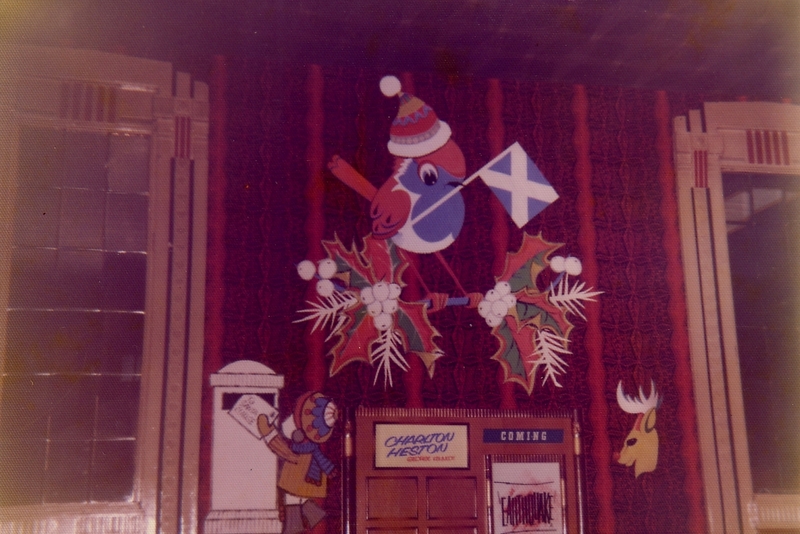 Original auditorium colour scheme described in Dunfermline Press: blue to dado, red above, with silver and gold columns and ceiling. Stage originally with wide fly gallery from which stage scenery was worked, and a scene-painting loft, unusual for a cinema/theatre of this date. 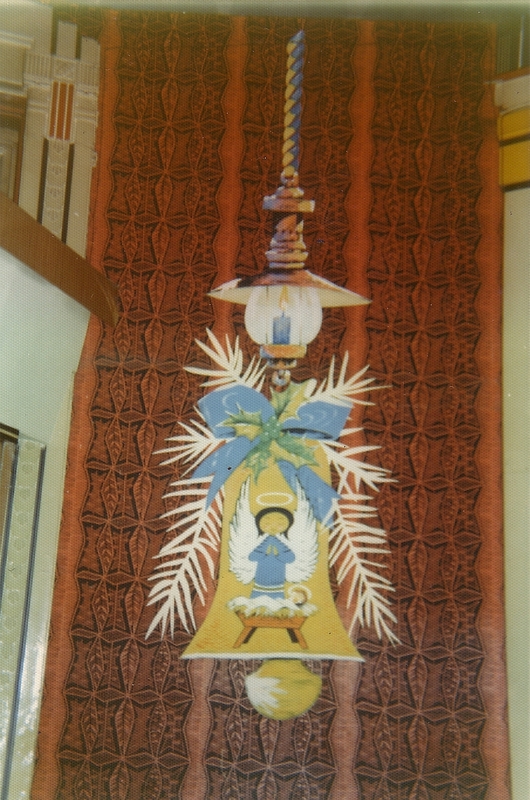 Many of the photographs below show some of the original publicity work of my late father, Mr. William WM Gourlay. 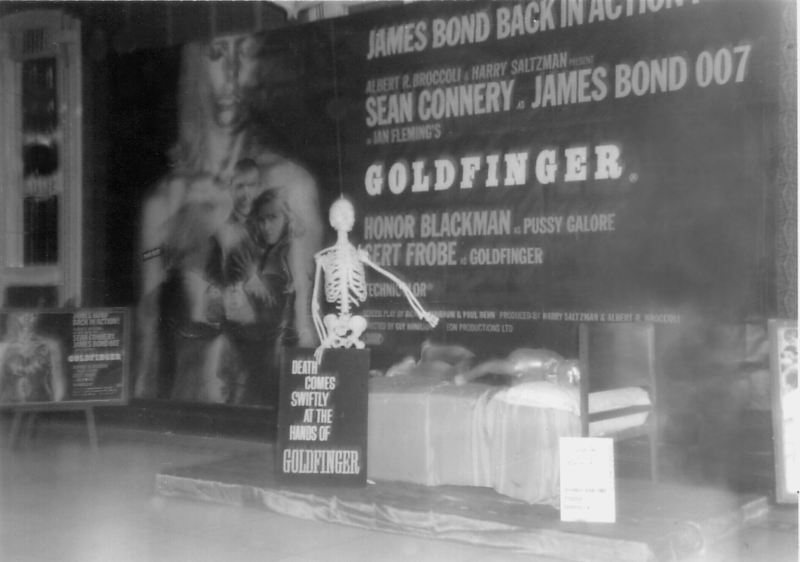 Note particularly, the golden mannequin on the bed for 'Goldfinger'. 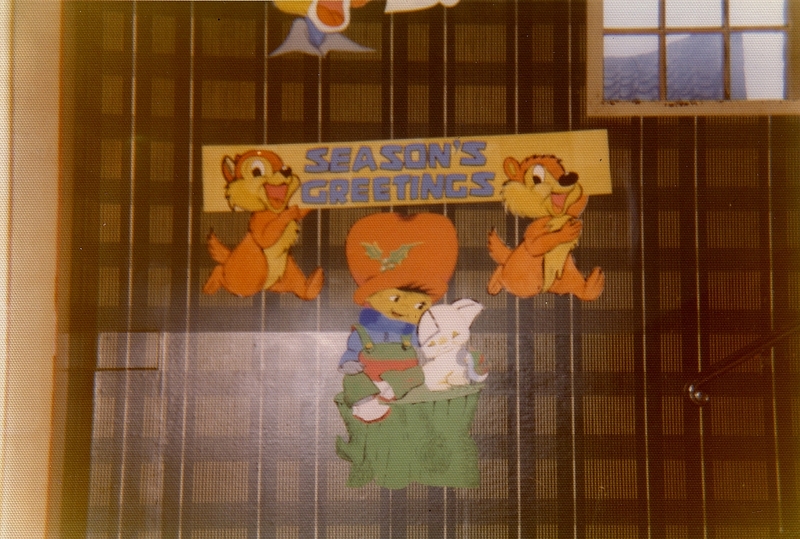 The colour ones show some of his original hand-painted Christmas decorations. 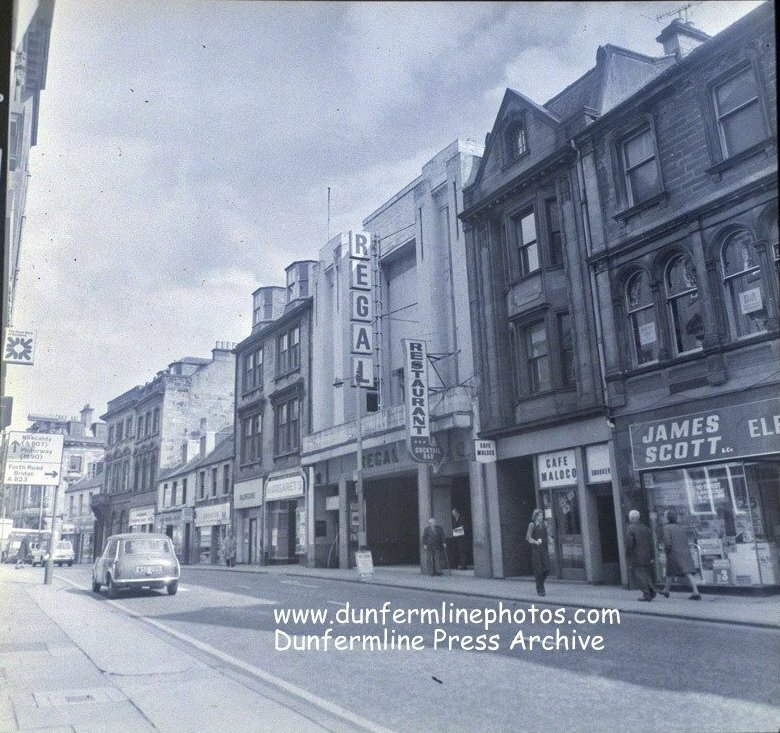 The largest single-screen cinema Dunfermline ever had, at it’s opening the Regal was lit by three flood lamps which had previously been used to illuminate Edinburgh Castle and was the only floodlit frontage in Dunfermline. Together with the latest neon signage it was an impressive sight at night. 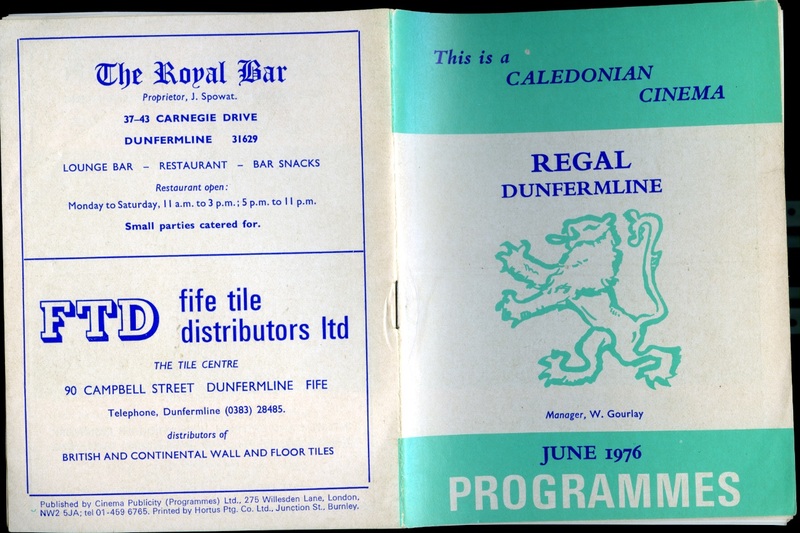 Style: It had a similar interior styling to The Regal in Kelty, though on a much larger scale. Site: The extremely sloping site upon which it stood meant that the Balcony was pretty much at ground level, while the Stalls was situated down a long Terrazzo staircase. 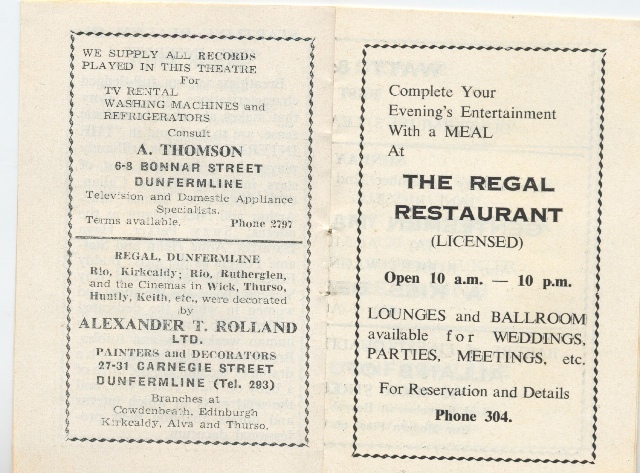 The Regal band played on the stage to patrons between features and to diners in the Regal Restaurant. 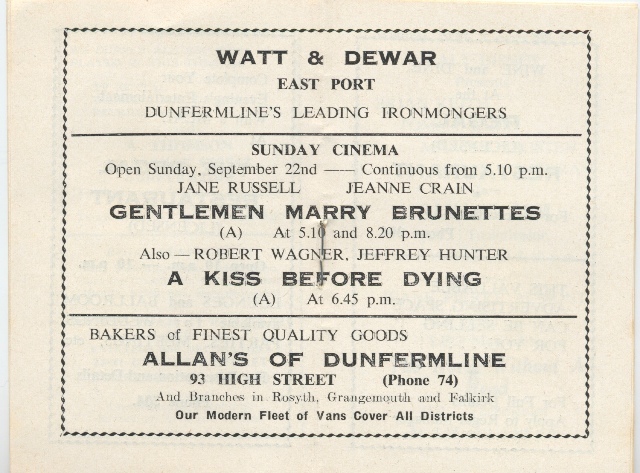 Dunfermline’s ‘Miss Lovely To Look At’ - Miss Dorothy Kerr (20) will, after presentations at The Regal Picture House, appear at The Kinema Ballroom to present the prize of a perm to The Ballroom’s own ‘Miss Lovely To Look At’ (Miss Margaret Russell of Edinburgh judged by George Niven of Rangers FC, Bobby Kirk of Dunfermline Athletic FC & William McNaught of Raith Rovers FC. 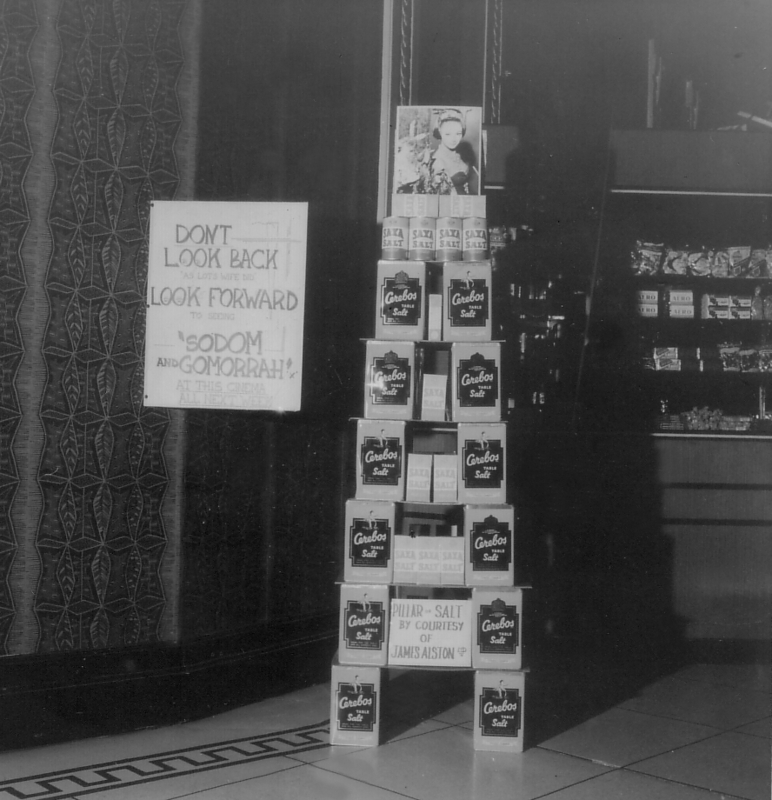 This was to promote the MGM musical film ‘Lovely To Look At' (1952). Final closure was to have been: 15th May 1976 with the last film presentation as, somewhat ironically – ‘The Hindenburg’ starring George C Scott however a two-week reprieve delayed the final closure. Closed: Saturday 29th May 1976. 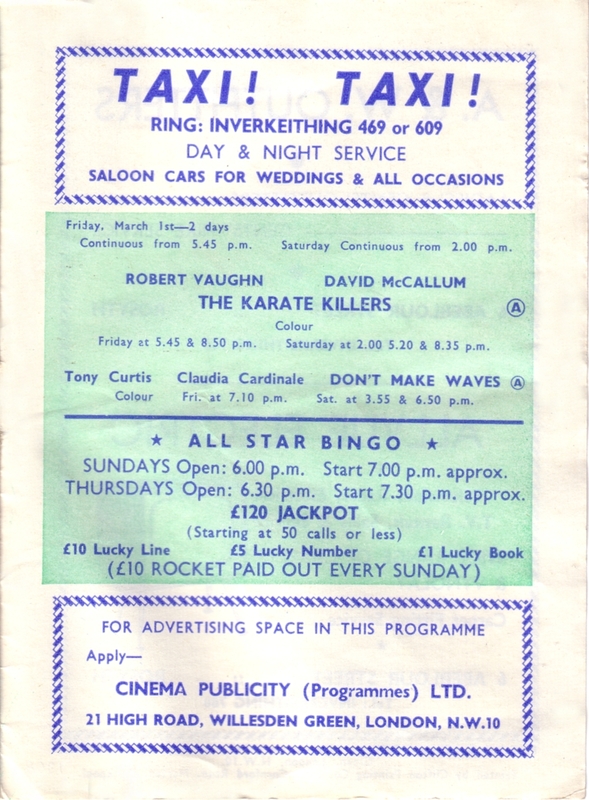 Last Film: ‘Hustle’ (originally X-cert now 15) Burt Reynolds & Catherine Deneuve (Stalls 60p Balcony 75p). 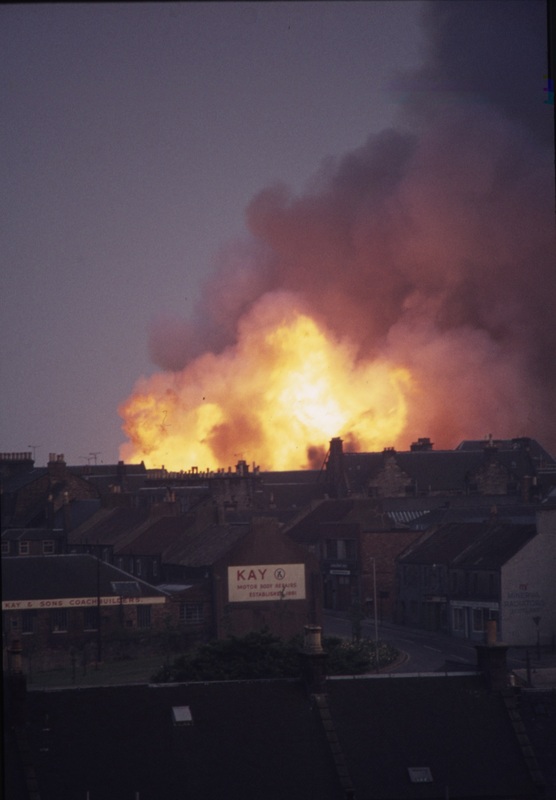 Destroyed by fire: Sometime prior to 21:00 hrs 5th July 1976 a £1m blaze destroyed The Regal, the neighbouring St Paul's Parish Church and other nearby buildings. 13 fire appliances and over 70 fire fighters took more than 6 hrs to extinguish the blaze whose flames leapt 80 feet into the air. Remains of the building were demolished & location cleared for ‘Littlewoods’ retail outlet that same year. 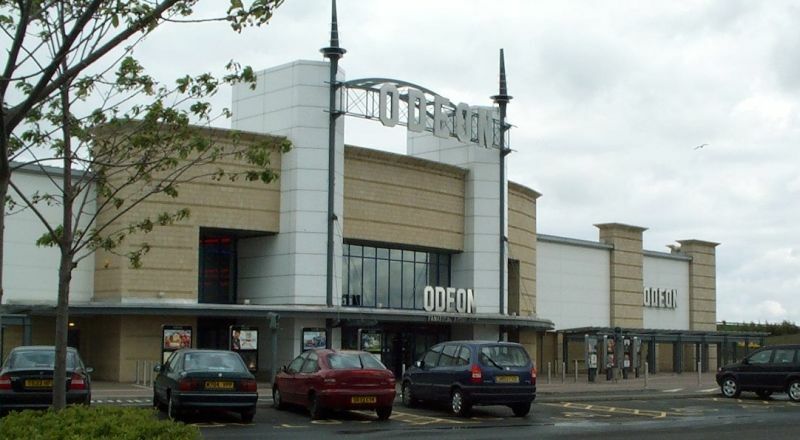 In 2007 the premises was taken over by Primark. Style: Built in early English style with simple exterior decorations. Design: It was designed by Edinburgh architect John Starforth and formally opened in 1878 by Henry Campbell-Bannerman, MP for Stirling (and future Prime Minister). The hall contained a splendid organ, erected during the months of August and September, 1878. A grand concert was given on Tuesday evening, 1st October, when the inauguration of the organ took place. 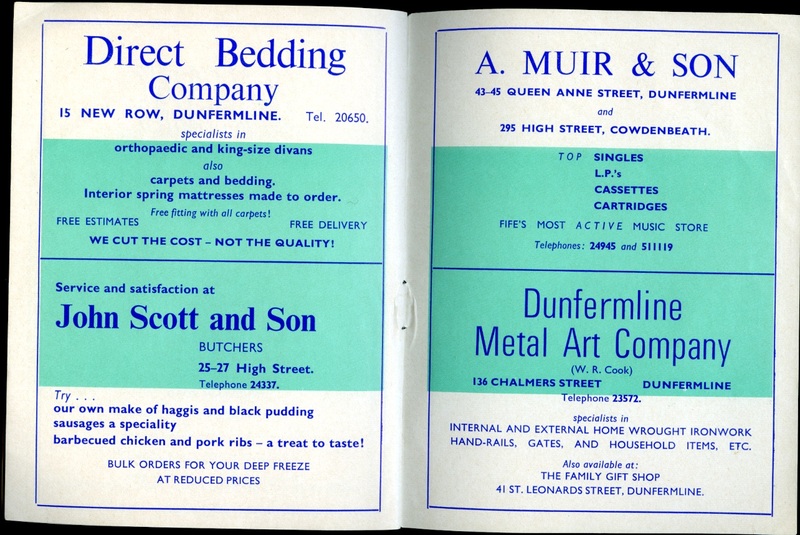 Concerning the construction of the organ, the Dunfermline Press of 31st August says: "The organ was erected by Messrs. T. C. Lewis & Co. Brixton, London, and is of a very superior character. Placed in the space reserved for the purpose, the organ greatly improves the interior aspect of the hall. It measures 24 feet in height, and 18 feet by 10 feet otherwise. It contains 26 stops and 1,522 pipes—the metal used being what is called “spotted metal.” The fittings include various important improvements, specially introduced by the builders, and the motive blowing power is supplied by the ingenious hydraulic engine patented by Mr. Joy, of Leeds. The case of the organ, which is composed of pitch pine, is tastefully decorated with moulded panels." 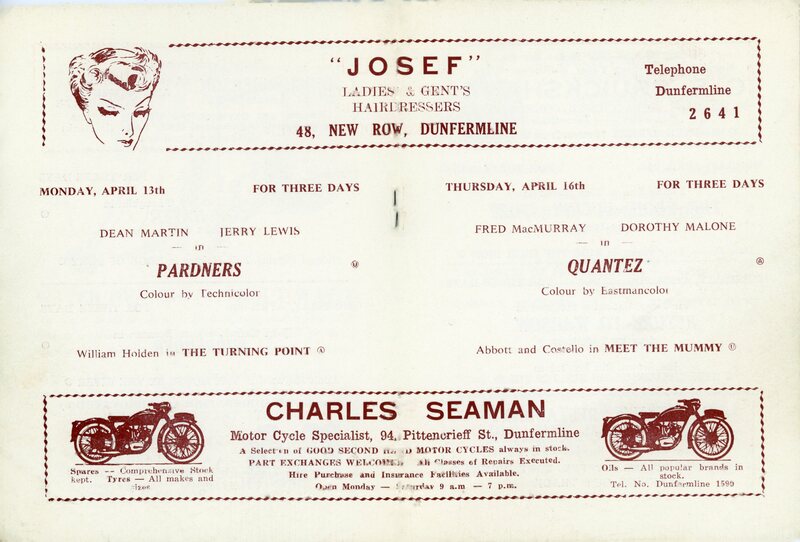 Formed on November 25th 1884, 'The Dunfermline Dramatic Club' gave their first performance in St Margaret’s Hall on the Evening of Wednesday 22nd April 1885. 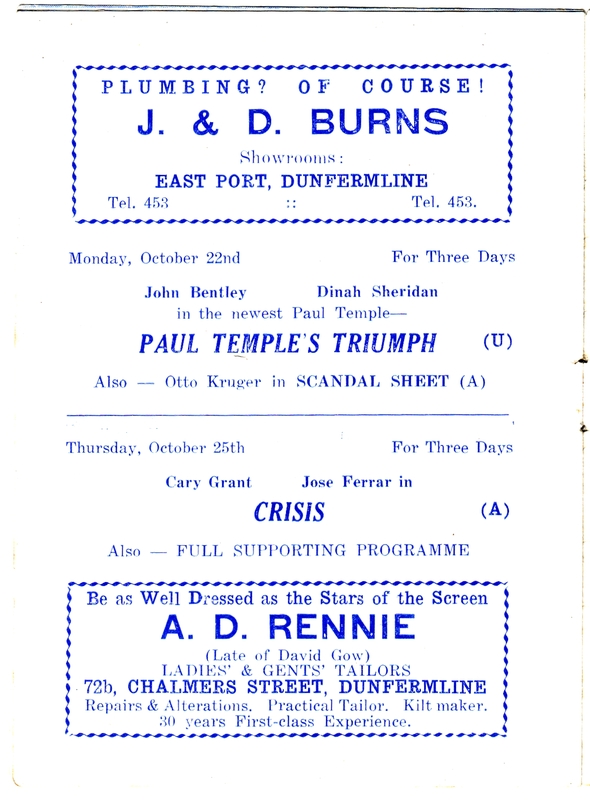 Still in operation and now known as 'Dunfermline Dramatic Society', it is Scotland's oldest established dramatic society. 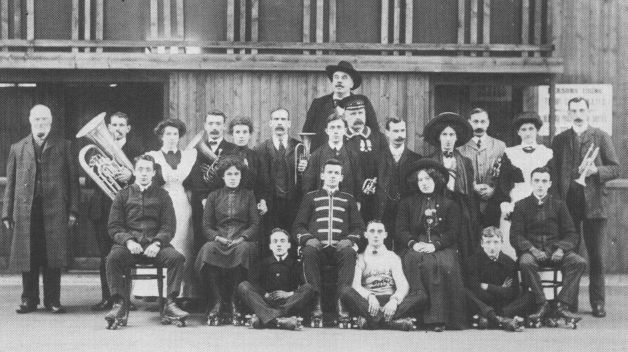 In January 1904 the Trust started its first series of Concerts, by engaging at the Hall the Scottish Orchestra of 80 players under conductor Dr Frederick Cowen, joined by Madame Kirkby Lunn and singers. Hundreds of people had to be left outside. 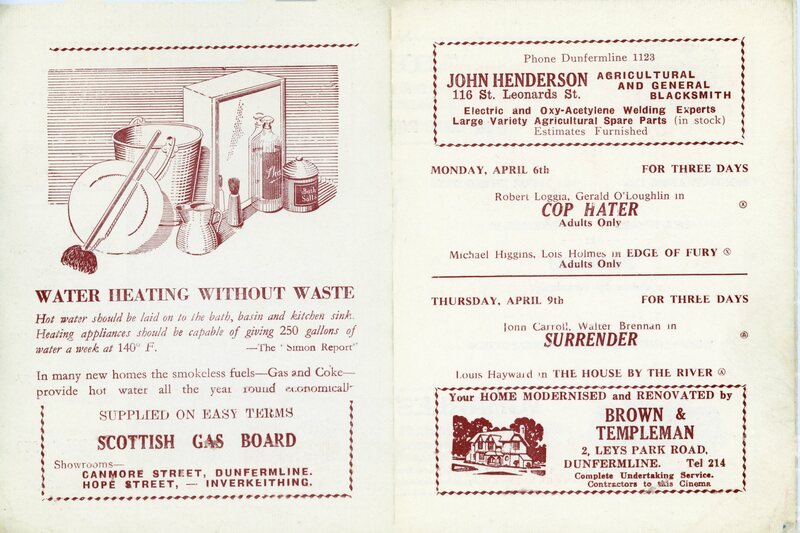 “A special train conveyed the artistes to Glasgow after the concert.” For seasons, year after year, the Trust Concerts with a range of orchestras proved very attractive, and by the 1920s they staged Saturday Evening Popular Concerts at a flat price of 3d. Originally used as a multi-purpose facility for Music Hall & Drama, it also had a Lecture Hall, a Reading Room and Committee Rooms and was used latterly as a dance hall. Demise: The interior was destroyed by fire after a boxing match in 1961 (amidst some controversy surrounding rivalries with The Kinema ballroom!). Thereafter it was demolished. The extension to the Carnegie Central Library now stands on the site. Films shown from approx 1914/15. Unfortunately, The Opera House never staged an opera! 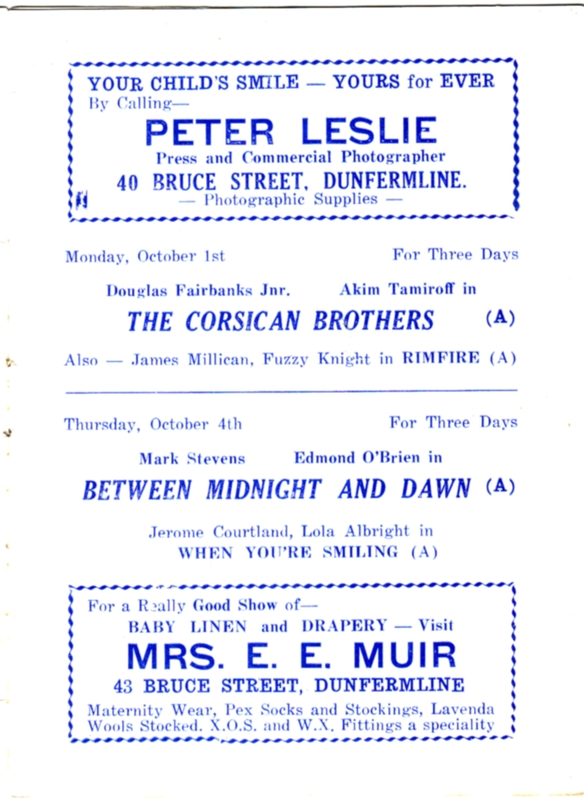 Opened: 6th October 1937 with a programme of musical recitals. 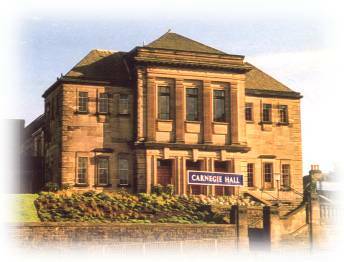 A smaller version of its New York namesake (which was built in 1891) the Carnegie Hall was commissioned by the Carnegie Dunfermline Trust in Classical Modern style and designed by local architects Muirhead and Rutherford (who also designed the Kinema Ballroom in 1938). 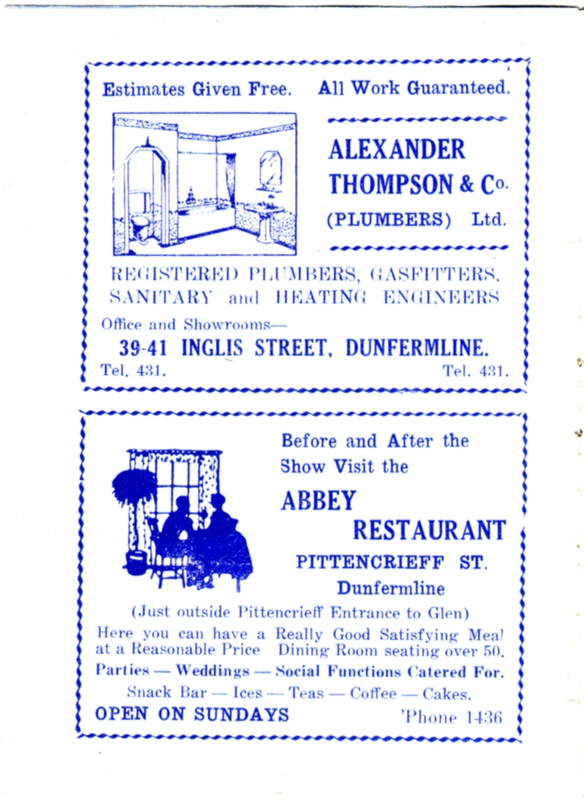 It was the last public building to be gifted to Dunfermline by Andrew Carnegie's endowment and cost £30,000. 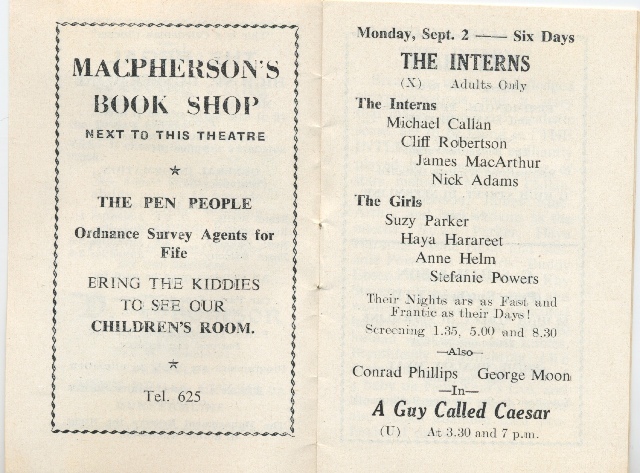 Louise Carnegie attended the sod cutting ceremony but was not at the opening on 6th October 1937. 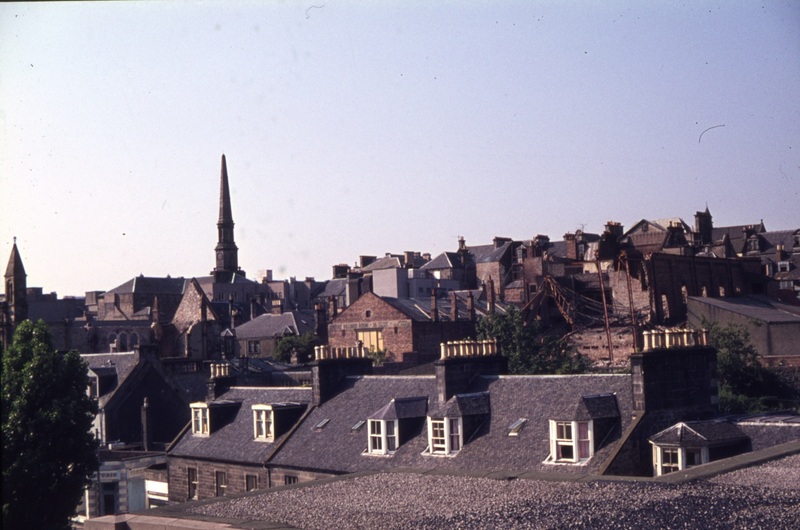 The opening performance was the operatic debut in Scotland of Handel`s opera 'Acis and Galatea' and was performed by the company of the Music Institute next door. 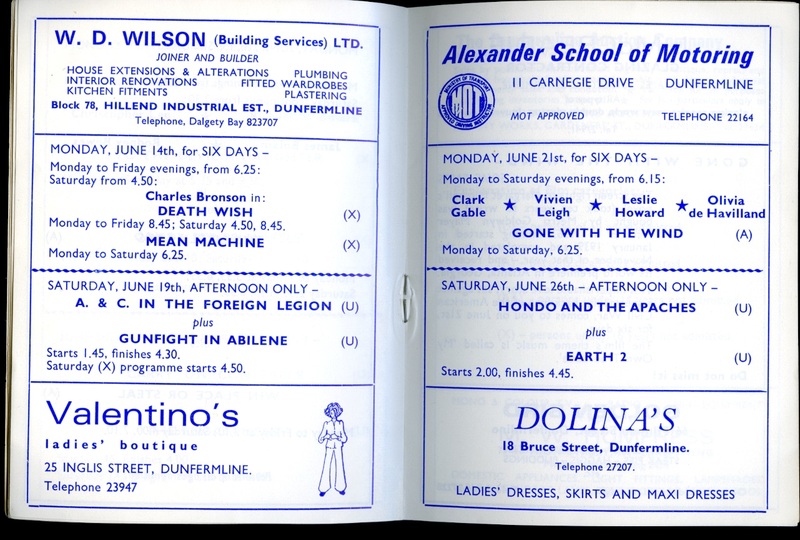 Children's entertainment was added to the programme and as other venues faded in Dunfermline, the Carnegie Hall became the main theatre for variety and amateur drama. 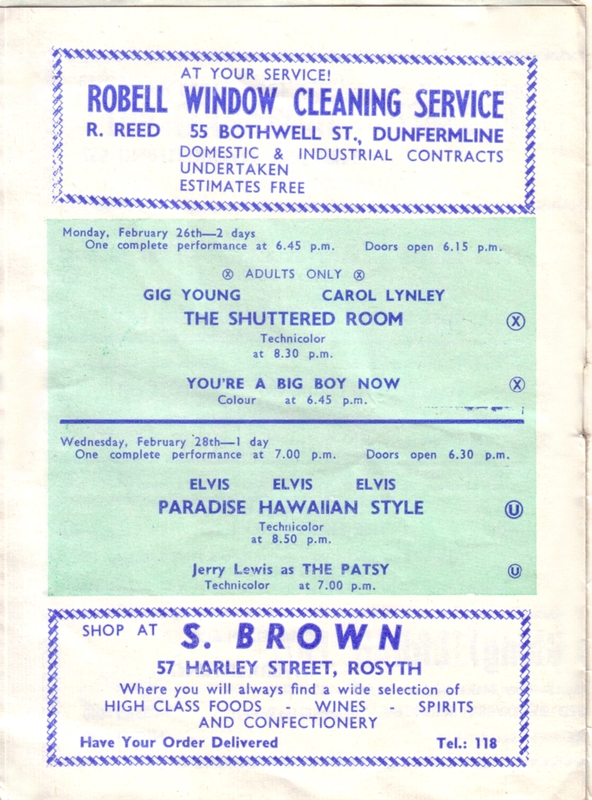 Dunfermline District Council took over the management of the Hall in 1974 and began a 'Civic Theatre' style programme that included popular Scottish entertainment, occasionally pop music acts and pantomime, along with supporting the amateur drama/musical scene. 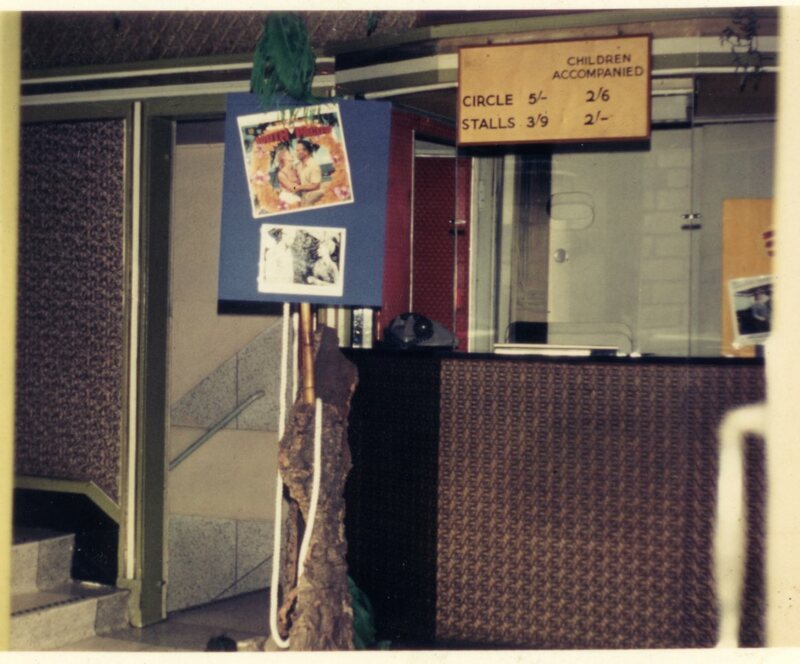 The stage area was badly damage by fire in 1980 and cost £23,000 to repair over seven months. 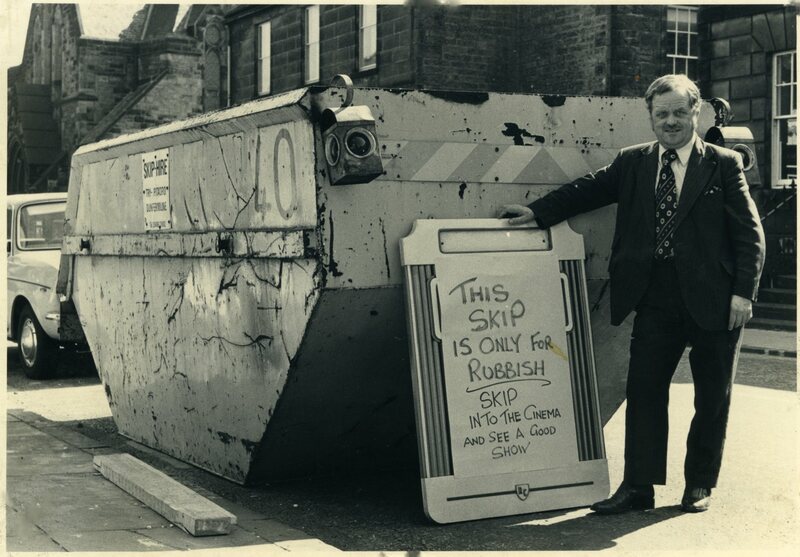 The wooden Annex is demolished in 1985 and replaced with a brick replacement. 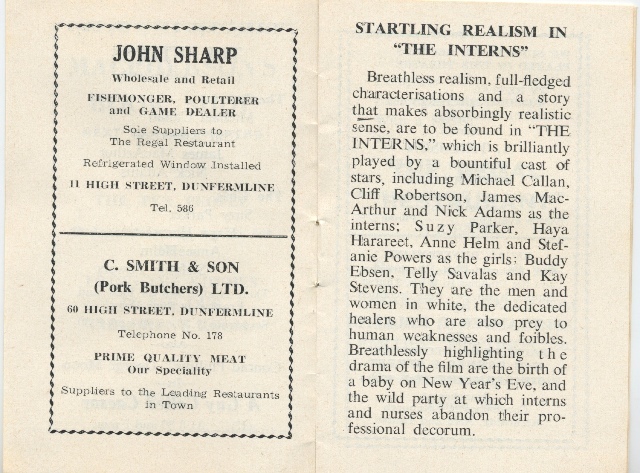 Film was added to the programme in the 1990's and some contemporary professional drama was added to the mix in 1996. 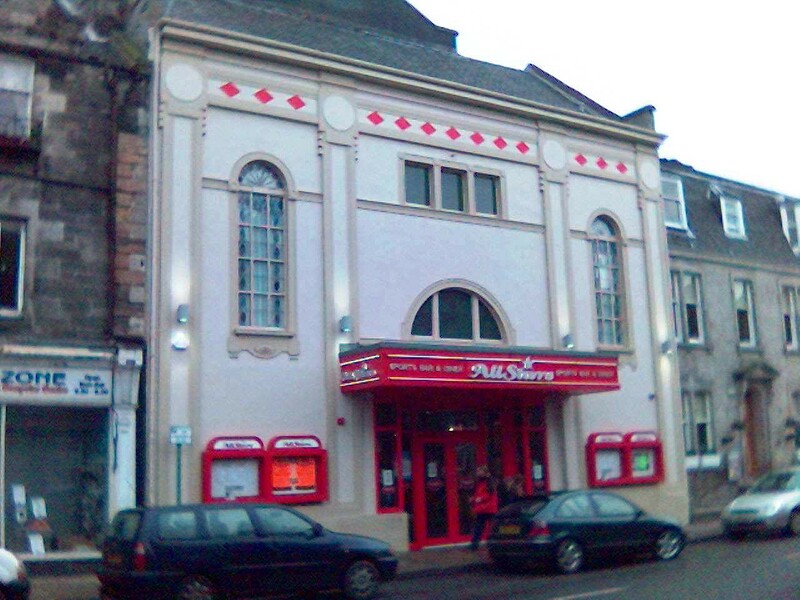 The Carnegie Hall is a mid-scale, touring venue in a town with a rising population particularly due to commuters to Edinburgh. 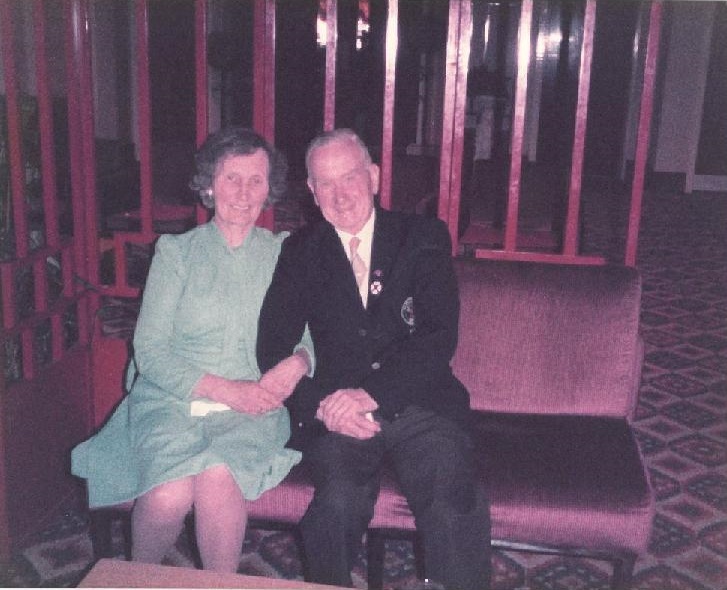 Following a number of years without full time management, the Council appointed a new management team in 2000 who were faced with the task of developing the Hall and it's activities. The current team modernised systems/communication links and practices at Carnegie Hall. Their aim to develop a dynamic arts centre type feel within the Carnegie Hall complex, which incorporates the 16 rooms of the Music Institute as developmental/studio type performance space and the refurbished Tiffany Restaurant (named after the memorial window by Tiffany of New York, commissioned by Carnegie and originally intended for the Abbey Nave. 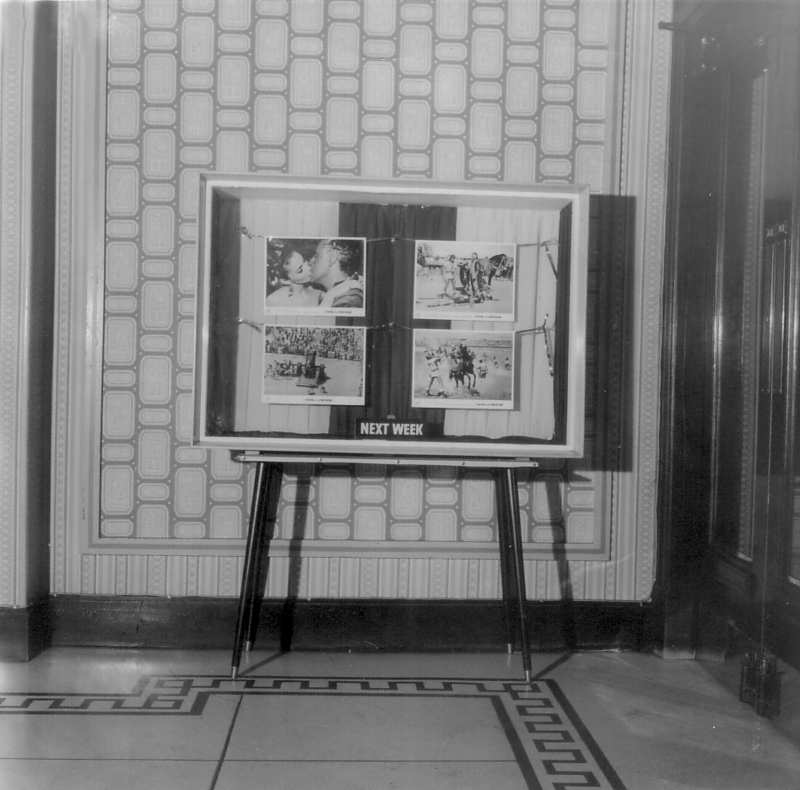 However it was turned down and installed in the hall and later moved to the Tiffany Lounge cafe. It now resides in the new purpose-built Carnegie Trust Headquarters in Pittencrieff Park. 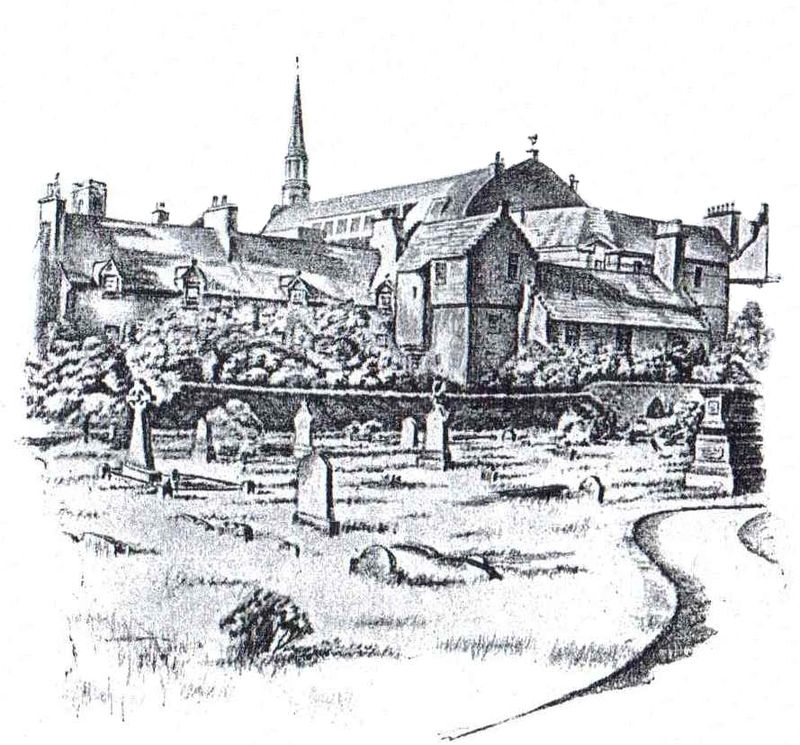 From ‘The Annals of Dunfermline and Vicinity (from the earliest authentic period to the present time A.D. 1069—1878 Interspersed with explanatory notes, memorabilia, and numerous illustrative engravings’ [page 664] by Ebenezer Henderson. 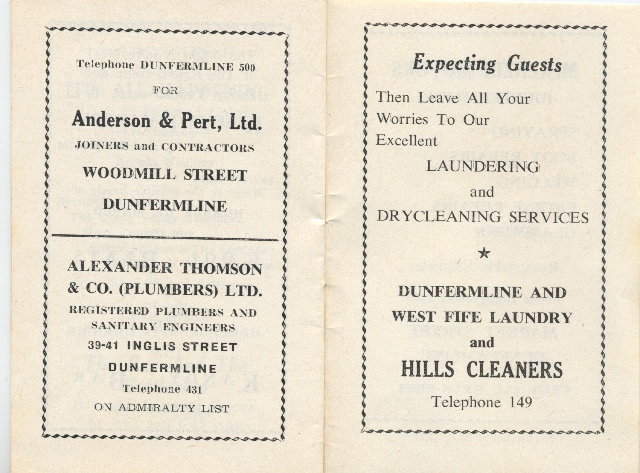 Located to the east of the public Play Park and run by a Mr. Thomas C Howitt of Lorne House in Dunfermline (a capable Stage Manager and Actor). 'The Balmoral Theatre' (later known as 'The Victoria & Albert Theatre') dates from around 1850 and entertained mainly miners and weavers with plays, drama and pantomime. The stage was considerably improved by raising the height and by adding six feet to its depth in 1867. 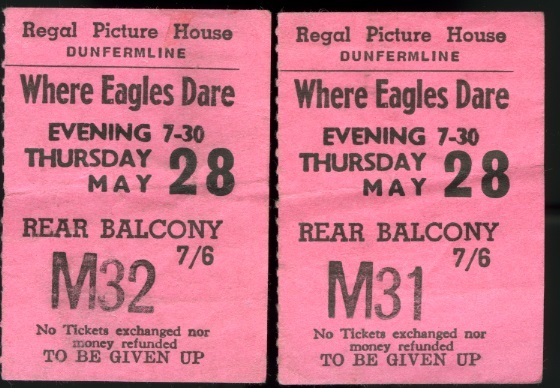 Typical admission prices were around 1shilling for front seats, 6d for The Pit (standing in what would later become known as the stalls) and Gallery area 3d. 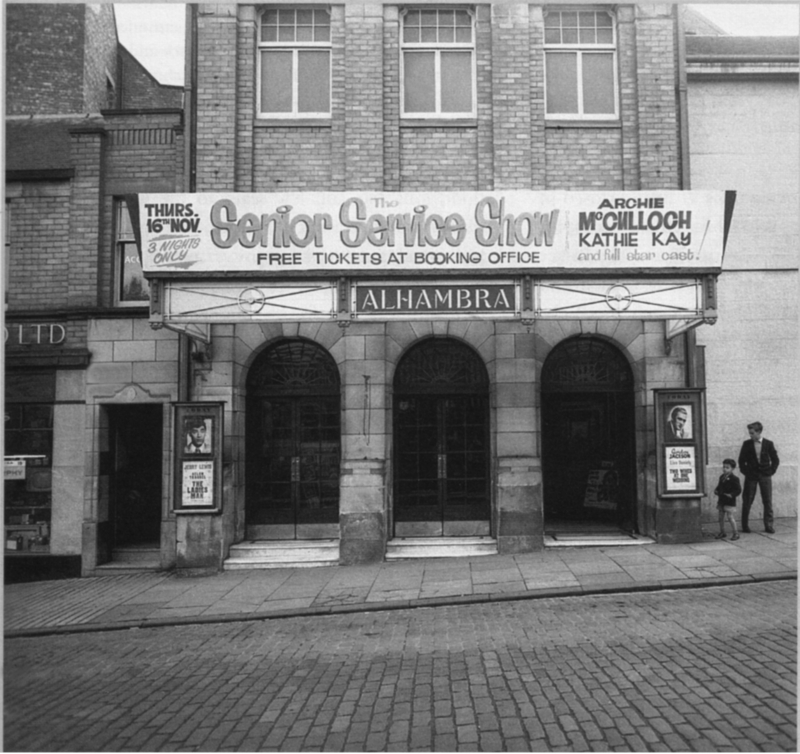 Later in 1872 the theatre operated from a location in the Cattle Market (roughly where the Debenhams store in the Kingsgate Shopping Centre is now) until it closed around the late 1870s. 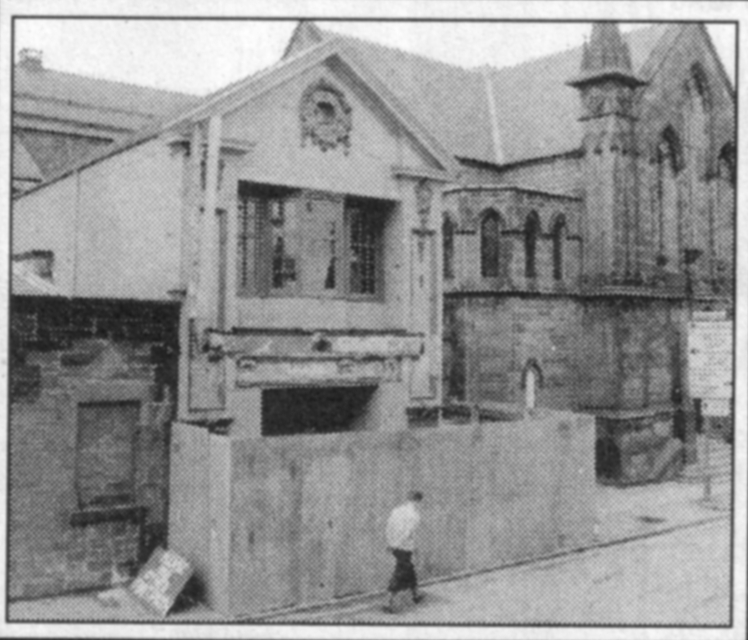 Opened: Eighteen months in the build, Fife’s first purpose-built Music Hall was opened by a grand concert on 30th December 1852. 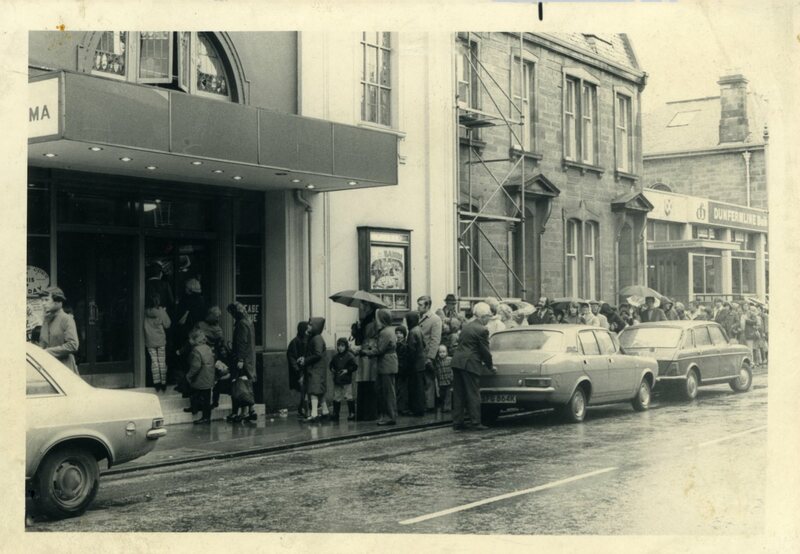 The principal entrance was from Guildhall Street though there was also an entrance through a narrow porch in 'Fish market Close', currently known as 'Music Hall Lane'. 1. 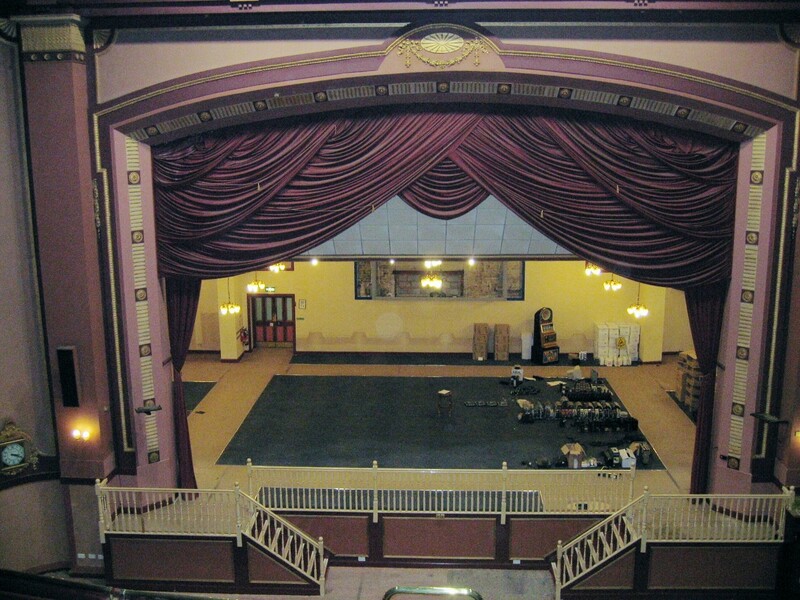 The main (upper) 'Music Hall' was fitted with a proscenium (arched) stage and originally had a seating capacity for 1400 though the later addition of two galleries around 1860 increased this to approximately 2000. 2. 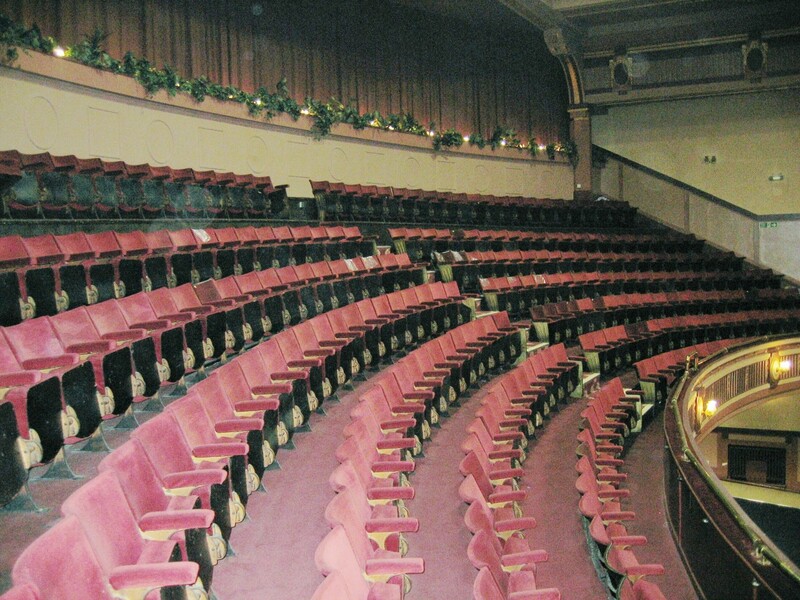 Below this was a smaller hall with seating for approx 800 which originally served as a Corn Exchange although later this became a venue for plays by touring companies. 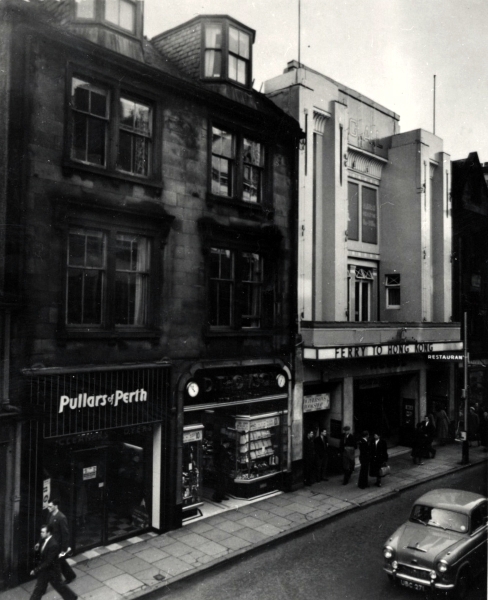 It was known as 'The City Theatre'. 3. 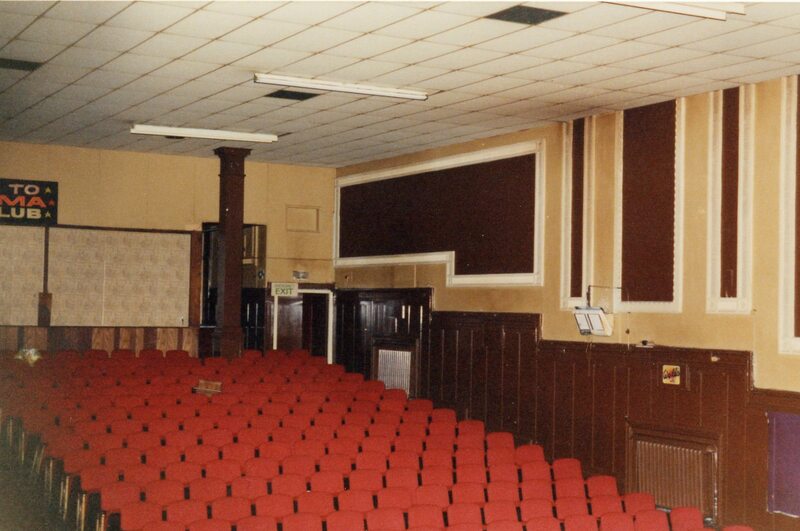 At the front of the building was a third meeting hall with approx 600 seats which was often used by local drama companies. 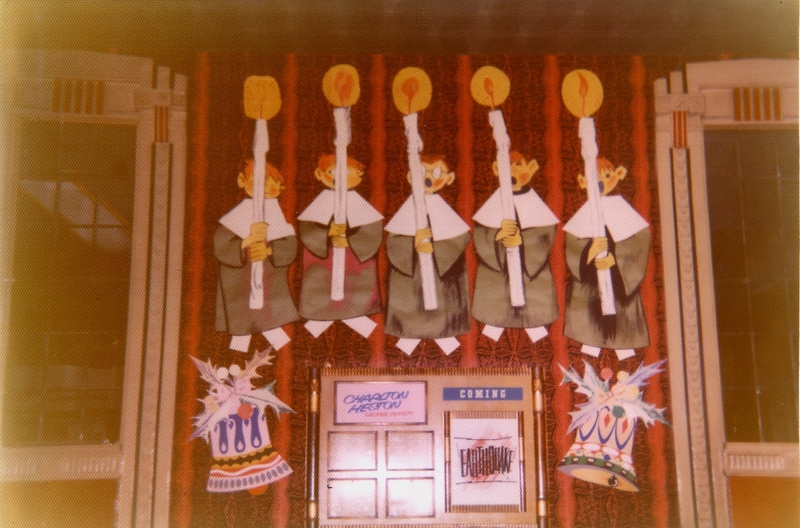 The Christy Minstrels Company were regulars. Proprietor: Mr. William Clark jnr (printer, civil engineer, auctioneer, inventor & antiquarian was the proprietor. His father, William Clark, was a bookseller, printer & publisher of The Dunfermline Journal & 'Clark’s Guide to Dunfermline and it's Antiquities'. 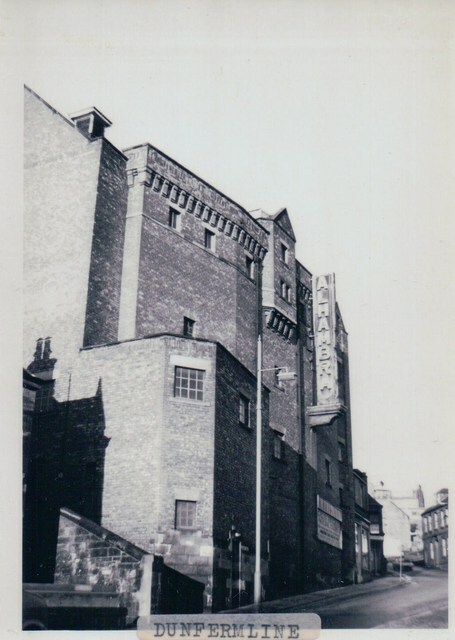 In 1868/9 the smaller, 'City Theatre', hall was closed as a theatre and became a rehearsal room and dancing academy with a new proscenium, act-drop and scenery. 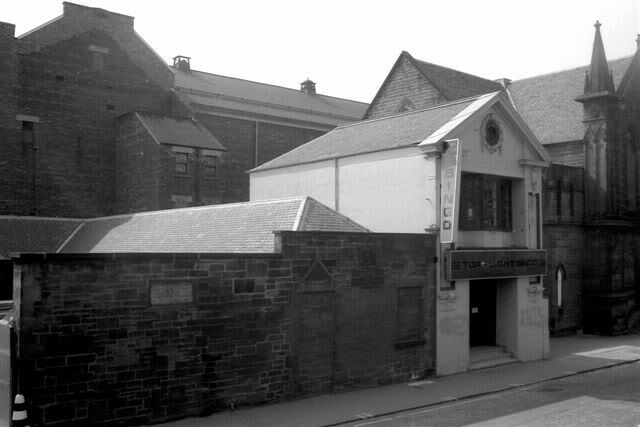 Toward the end of its time as a Music Hall in the 1870s it was used for religious meetings and eventually became a fully fledged variety theatre with religious meetings on Sundays. In February 1888 Professor Beatton ('champion scientific swimmer of the world') and his wife performed at the Music Hall in a large tank erected on the stage where they smoked, ate wrote and played music under water. In 1889 a panorama show was presented, but time was running out for the Music hall and in its final years it was plagued by a leaking roof. 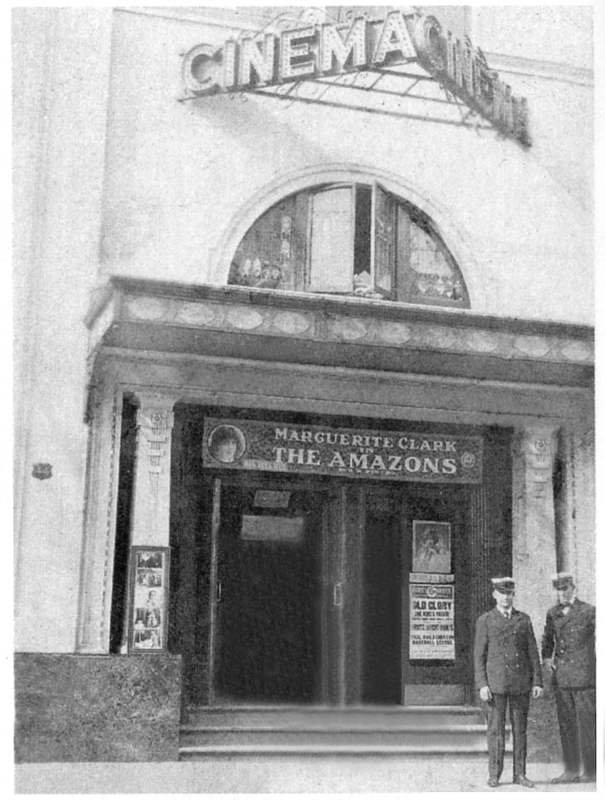 Closed: The building closed in January 1898 probably due to competition from St. Margaret's Hall & as the plans for The Opera House were being finalised and much of the theatrical scenery, props etc were sold. 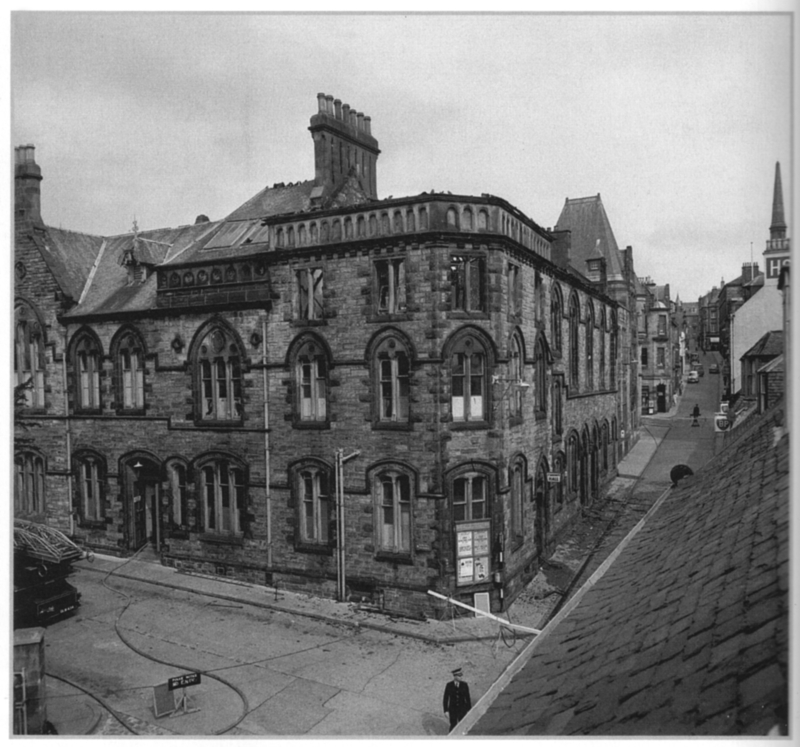 In November 1898 the building (which was owned by the Dunfermline Journal) was leased as a printing works and in 1912 the newspaper moved to new premises and left the building abandoned for a short time. 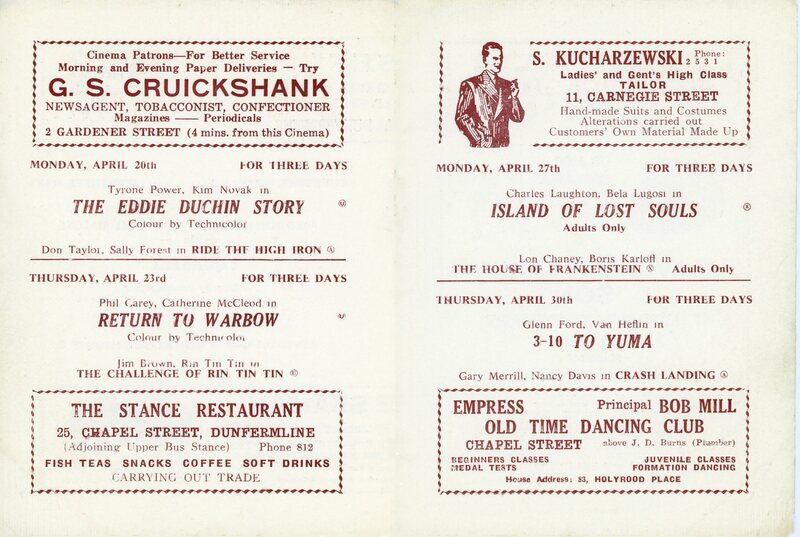 Reopened: Later again on 2nd October 1913 after extensive rebuilding it was re-opened by R.C. Buchanan of Edinburgh as The La Scala Picture Theatre. 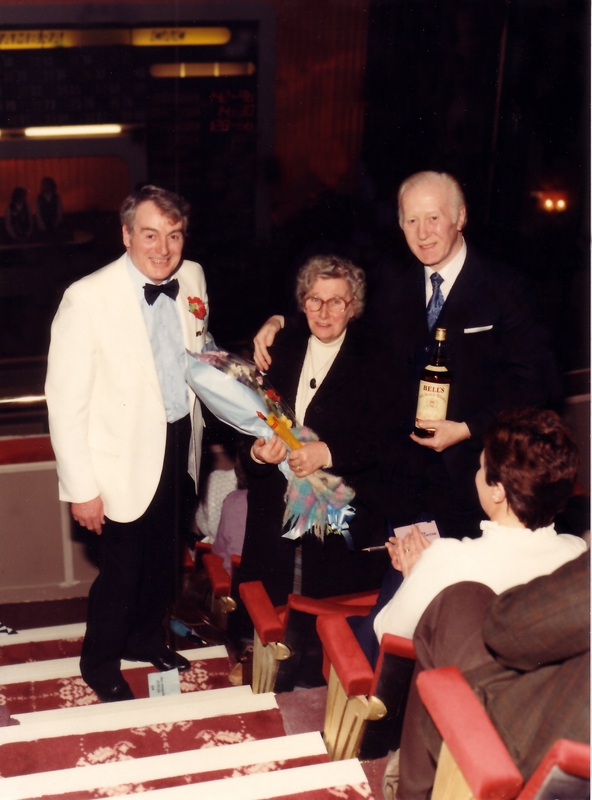 I'm indebted to Bob Bain (Secretary of The Scottish Music Hall & Variety Theatre Society) for much of the information above. 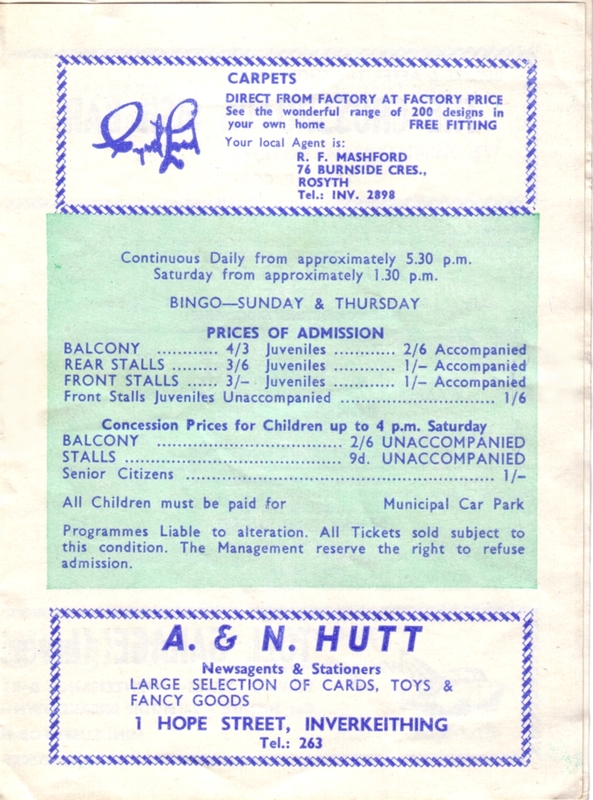 Open Stage: The north elevation includes (to this day) an outside stage and terraced arena which replaced a former bandstand in the vicinity. 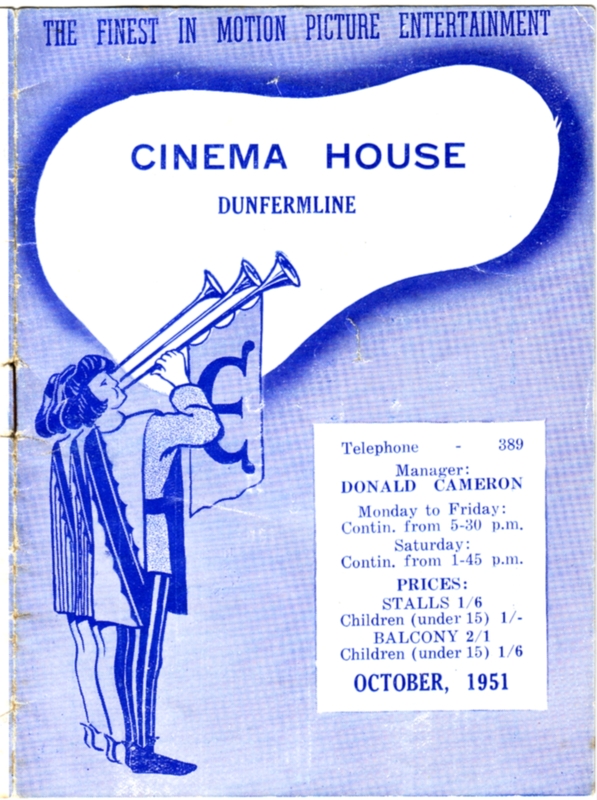 Architect: Local architect John Fraser (who was also associated with the design of Dunfermline’s Masonic Hall, the Cinema Picture House & Alhambra Theatre amongst others) designed The Music pavilion for The Carnegie Dunfermline Trust to replace a previous Tea-Room in the vicinity. Notable Performances: The Glen Pavilion saw the debut performance of local lad Stuart Adamson's band, 'Big Country', in the main hall on February 2nd, 1982 and the second ever performance of 'The Skids' (on the open stage). 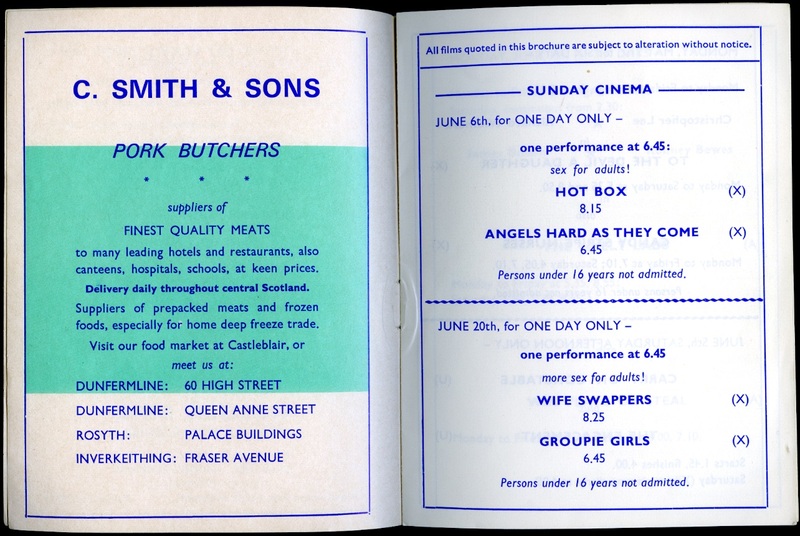 This was 'The Skids' second outing (for a crowd of approx 500) and was an open-air Chilean benefit gig on Saturday 20th August 1977 supported by 'Monolug' & 'Bad News' but were stopped (allegedly) by the Police after only two songs. Some mindless fool threw a beer glass at the stage, striking a fan on the head and causing injuries requiring stitching. Their third song would have been the anti-Communist 'Contusion'. Stuart explained that the song was about the fact that the event wouldn't have been permitted in a Communist country, and suddenly the power went down and plugs were smashed. Local opinion is divided as to whether the saboteurs were the allegedly pro-Communist 'Monolug' or the organisers themselves. Some disorder by disappointed & angry fans resulted though there was no 'riot' as reported elsewhere. The hall is still in use today (2013) for a multitude of purposes including performances, functions shows and exhibitions of all kinds.